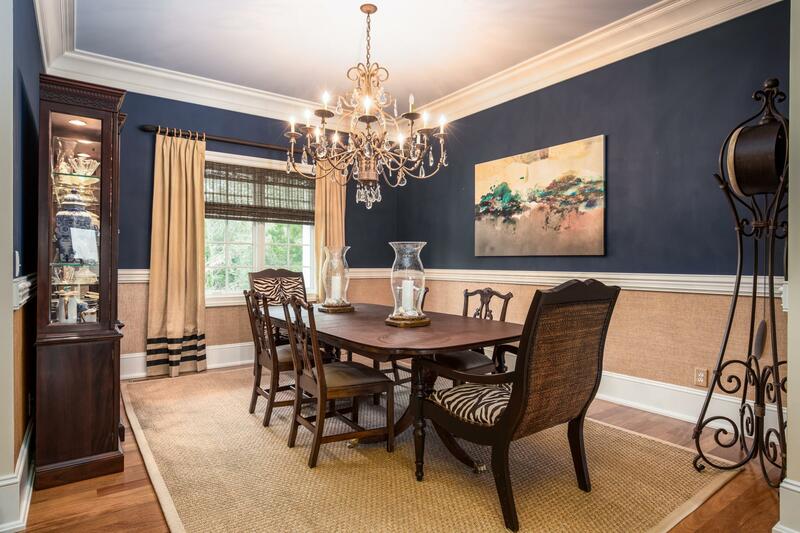 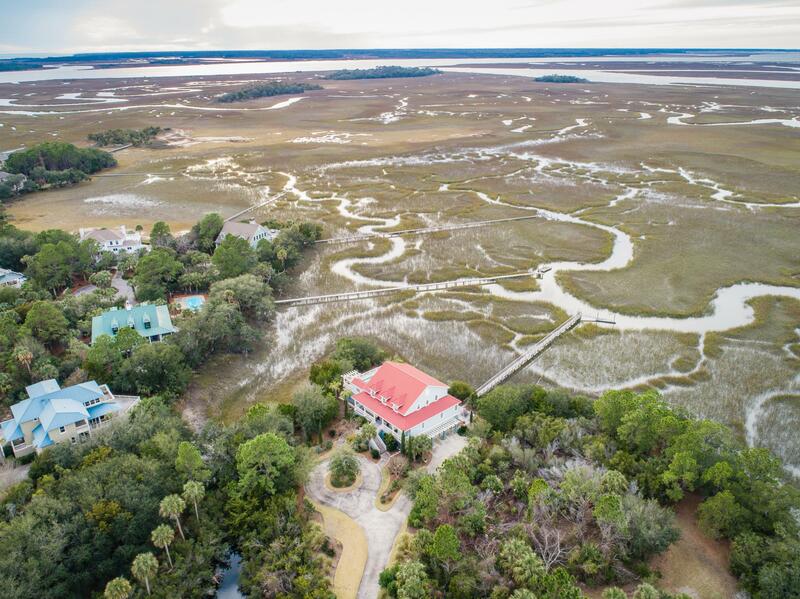 This is a rare opportunity to own a very large and private property in the highly desired Jenkins Point Plantation neighborhood, overlooking Bohicket Creek and historic Rockville. 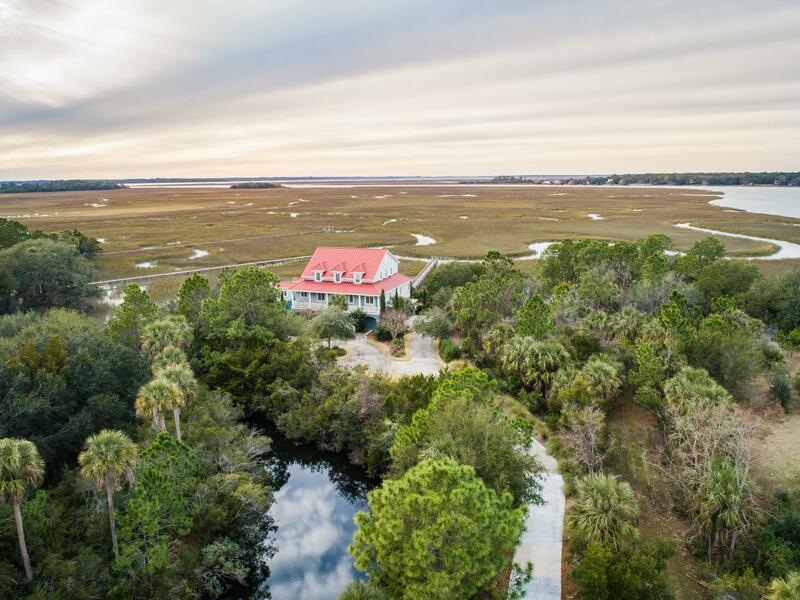 At close to an acre, this home is hidden from the road and takes a winding drive with charming pond view to get to the house. 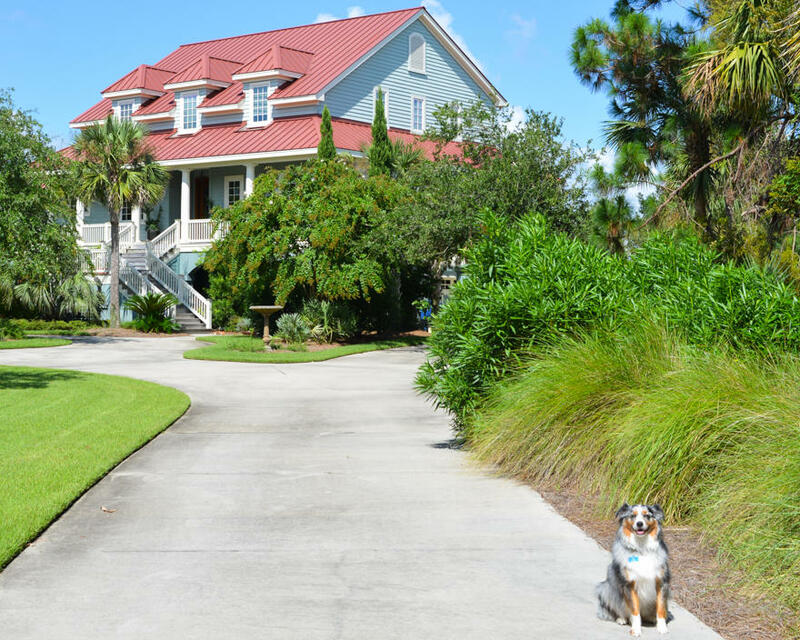 This is something you typically don't see on Seabrook Island. 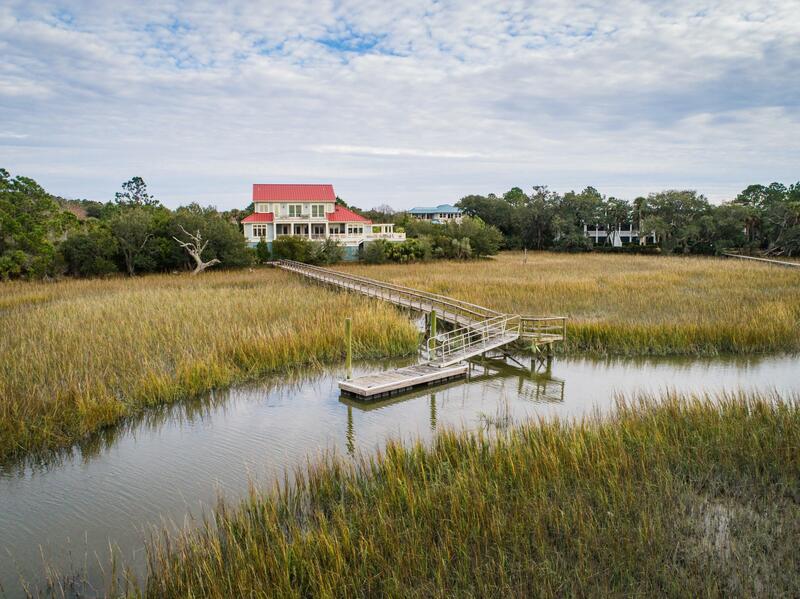 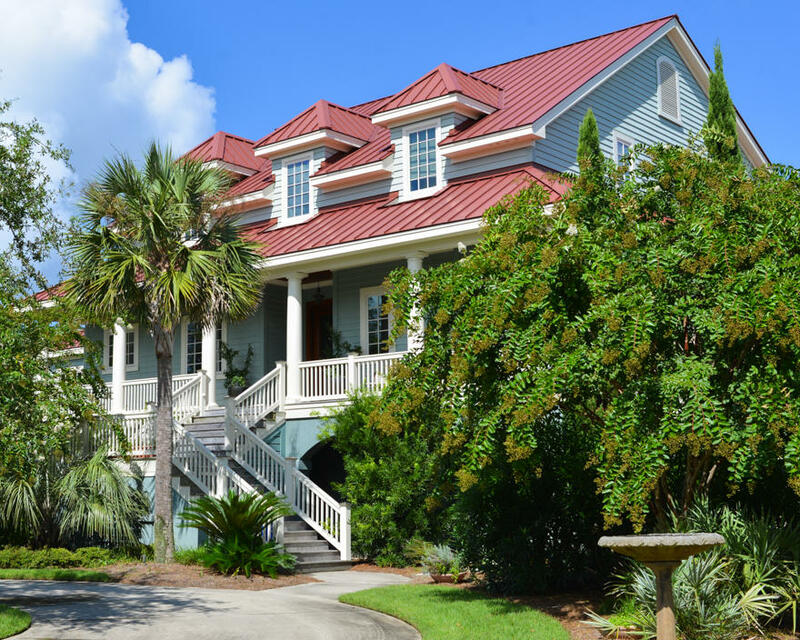 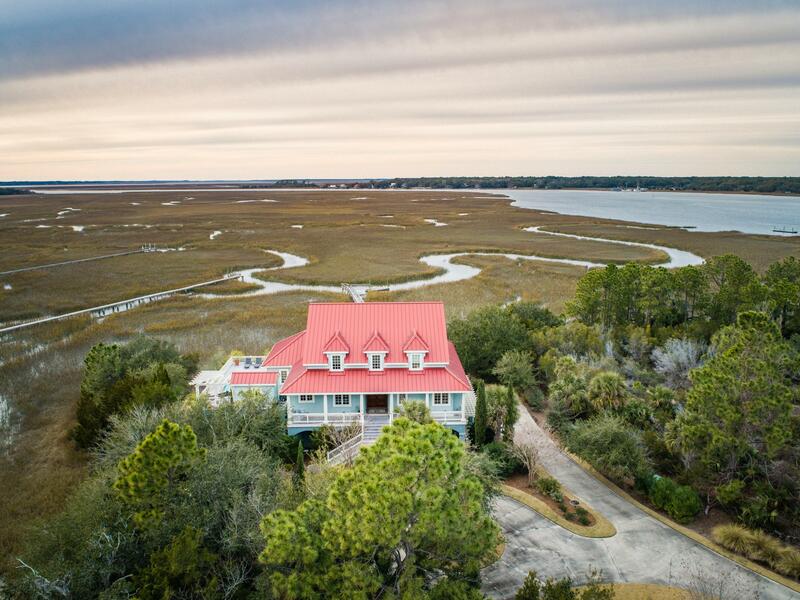 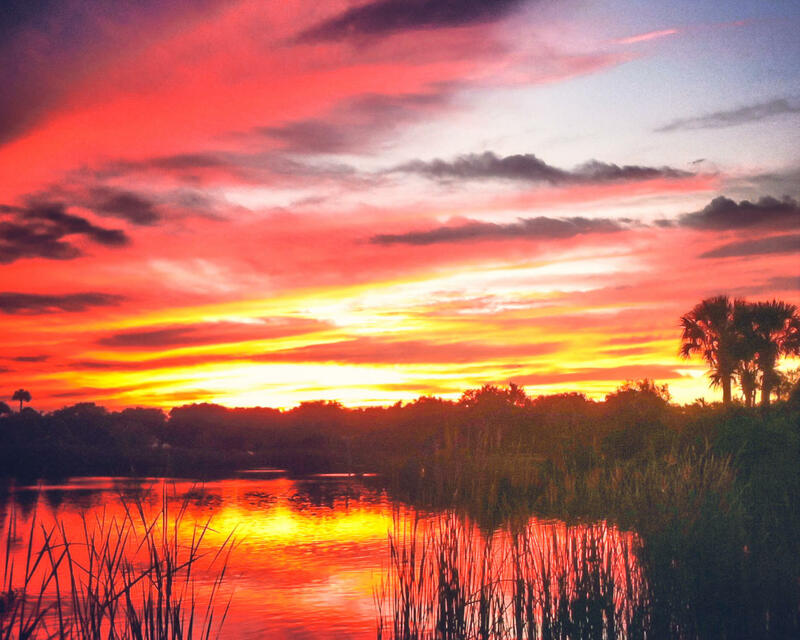 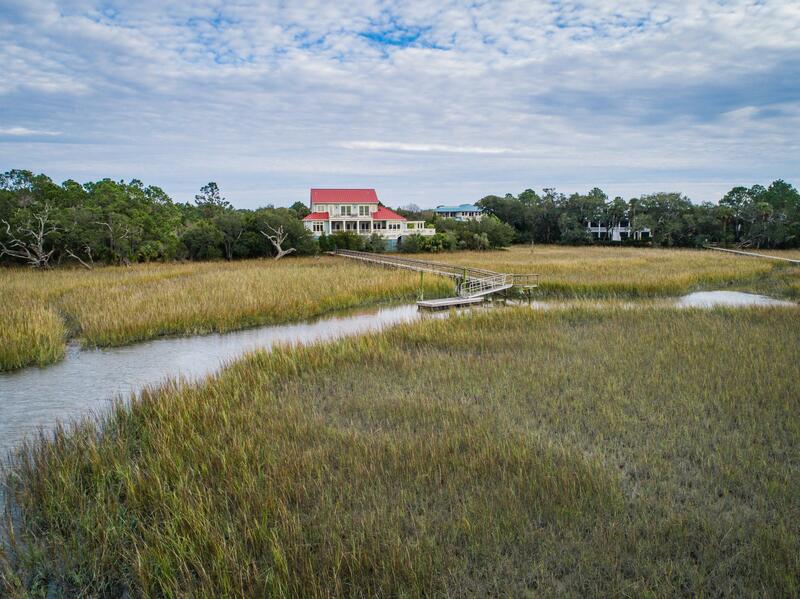 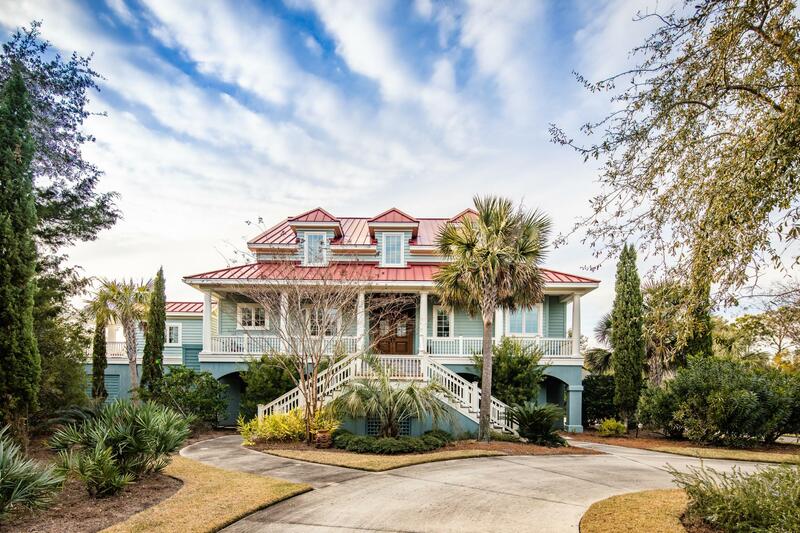 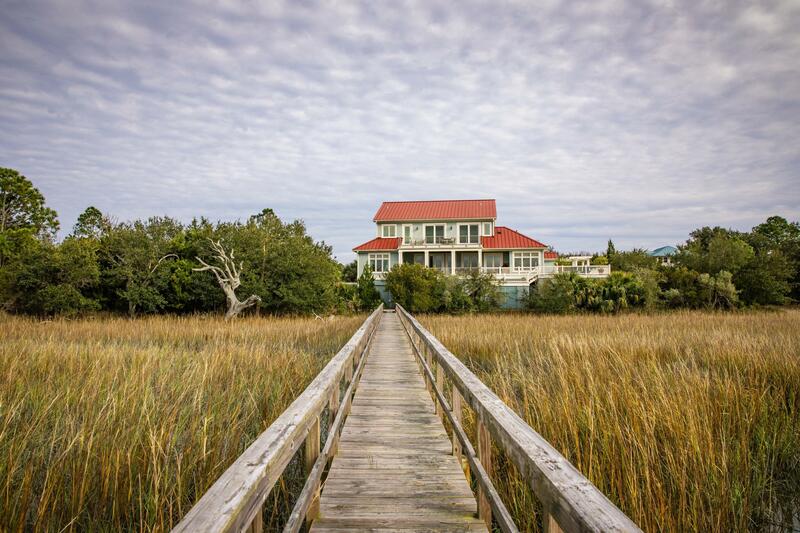 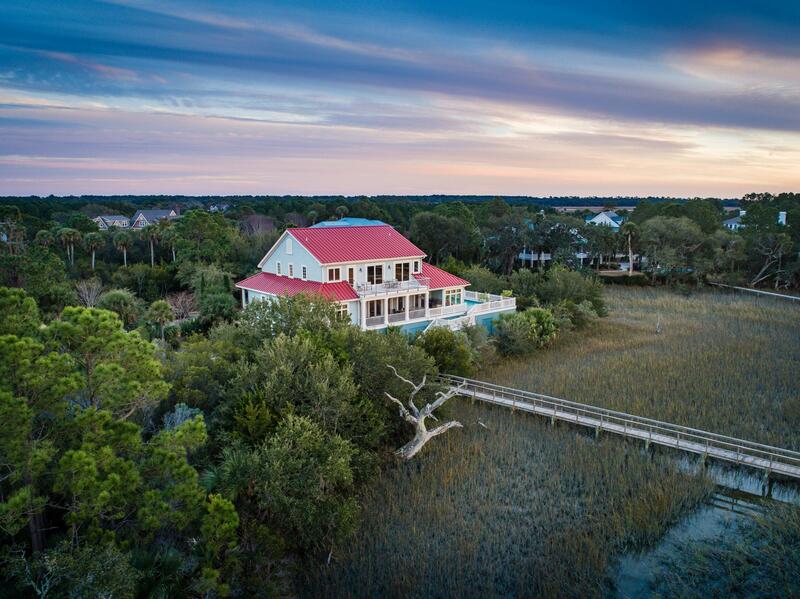 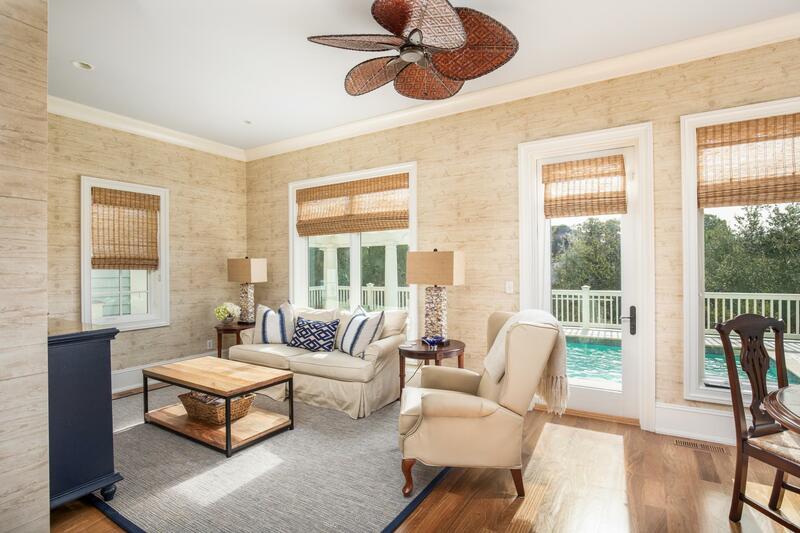 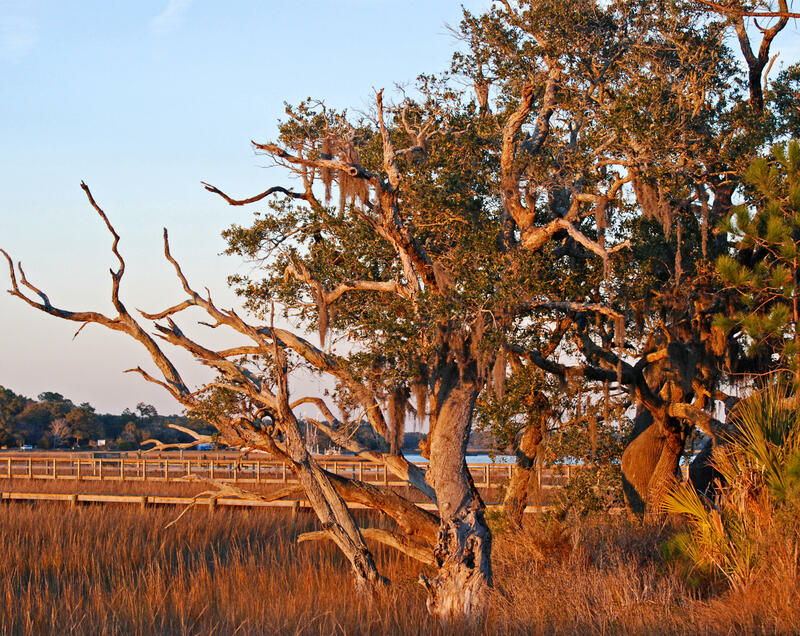 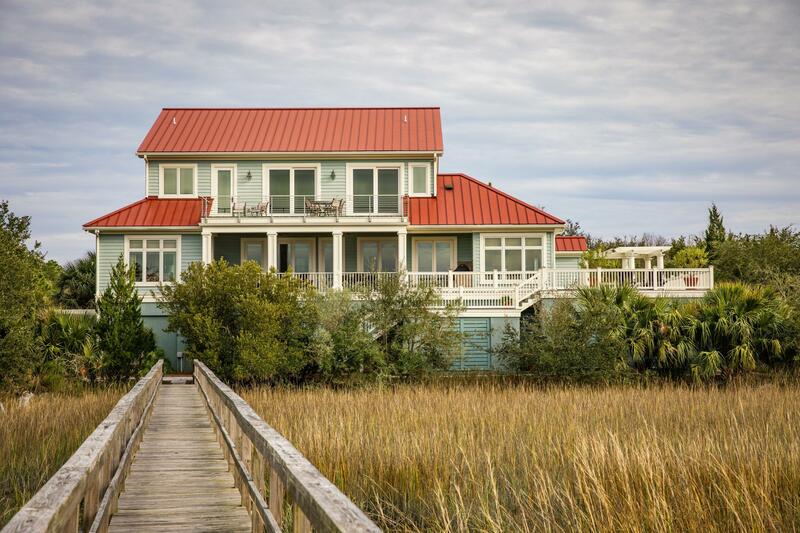 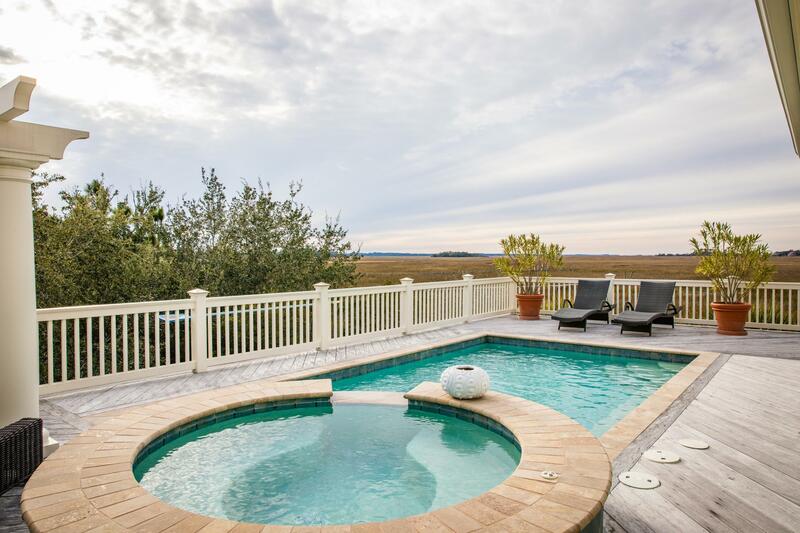 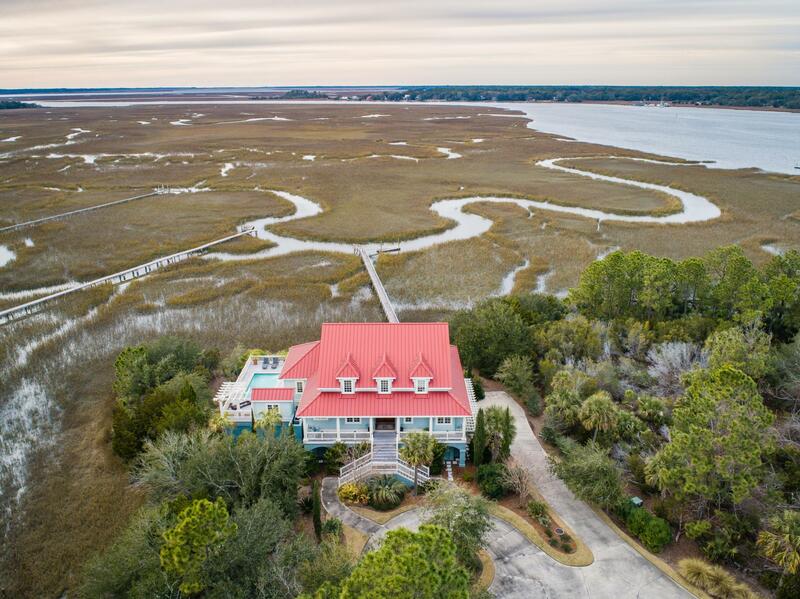 Once you catch sight of this home, you know you are in the heart of the lowcountry. 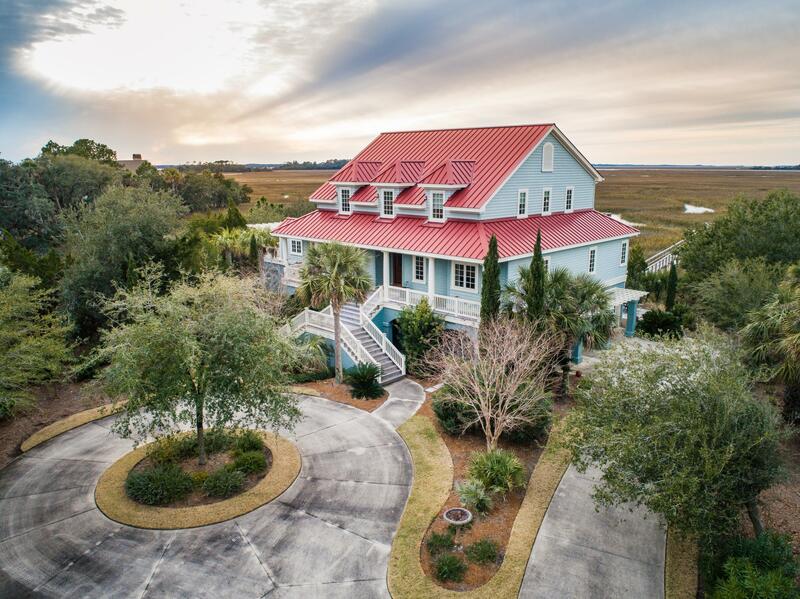 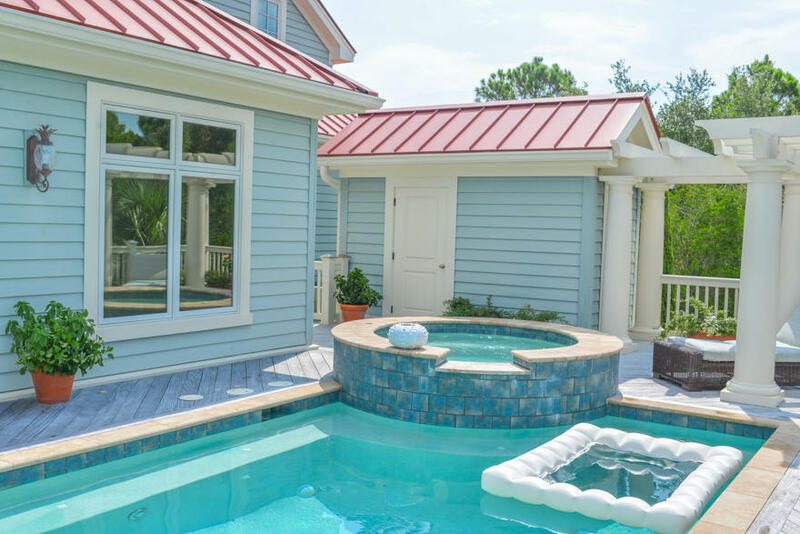 It has the quintessential Charleston architecture with a classic red metal roof and surrounded by gorgeous professionally designed and maintained landscaping. 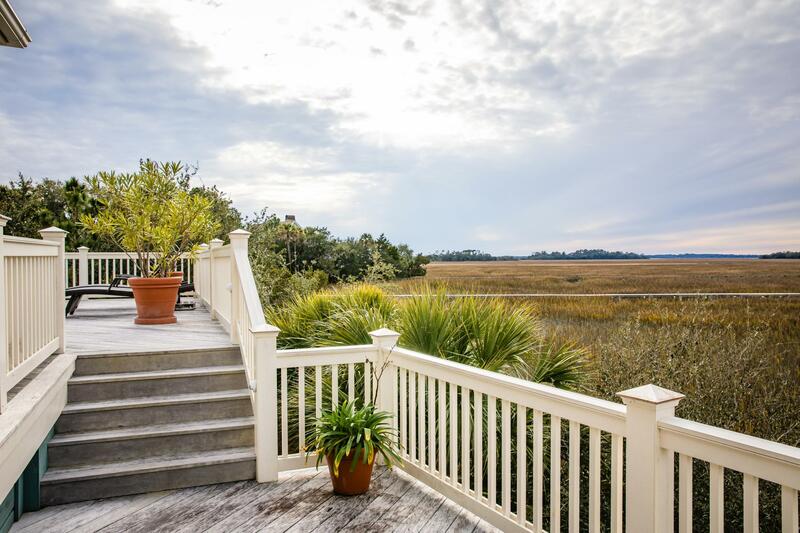 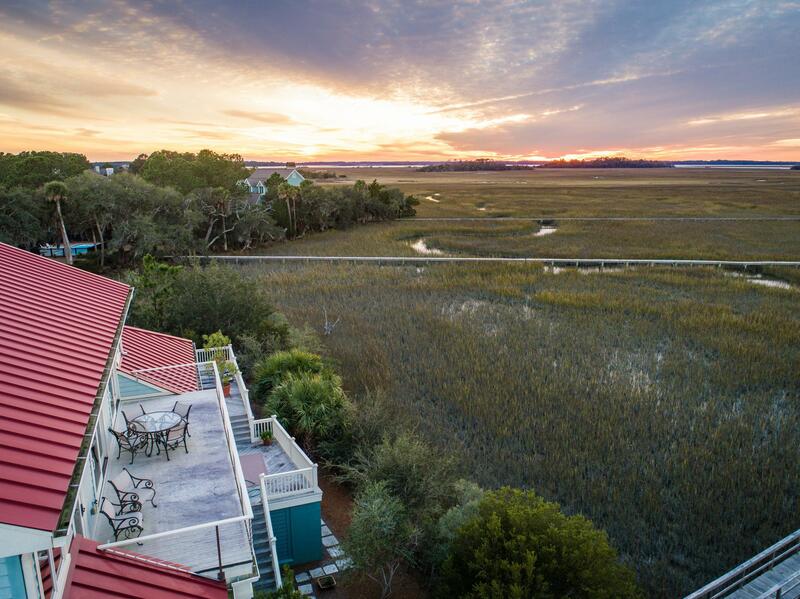 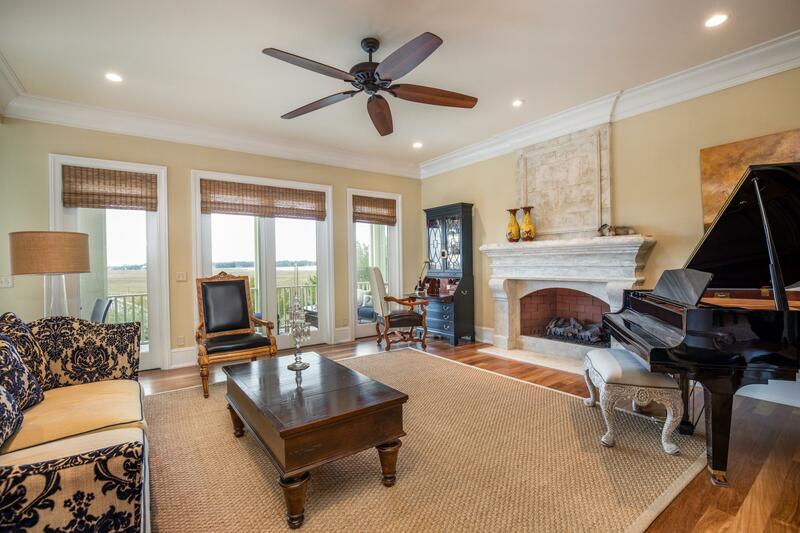 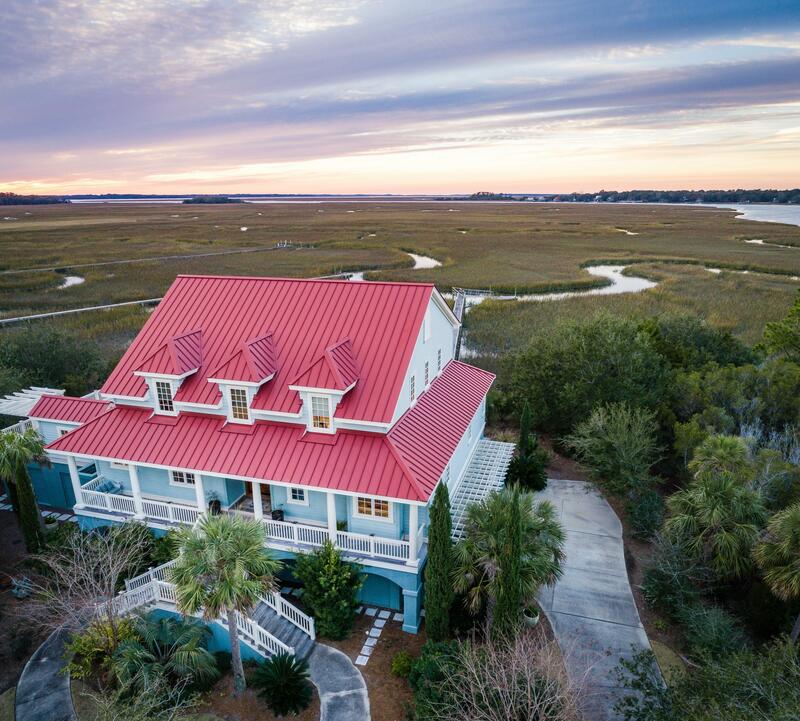 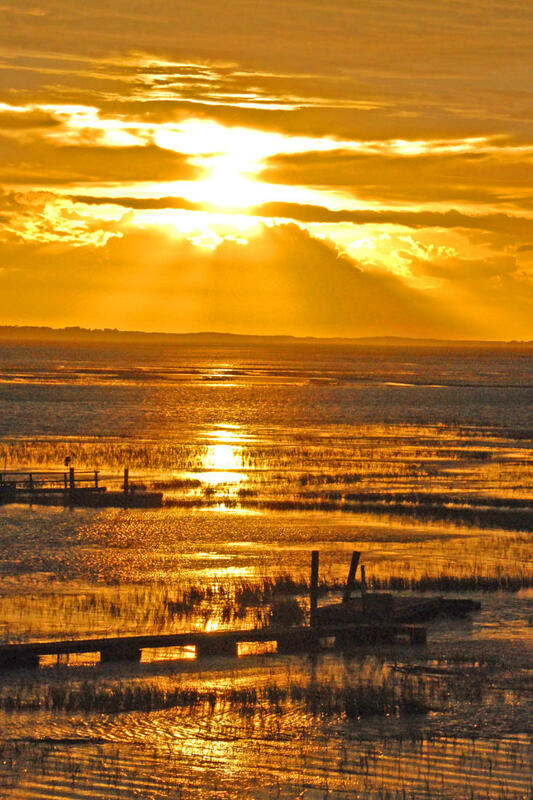 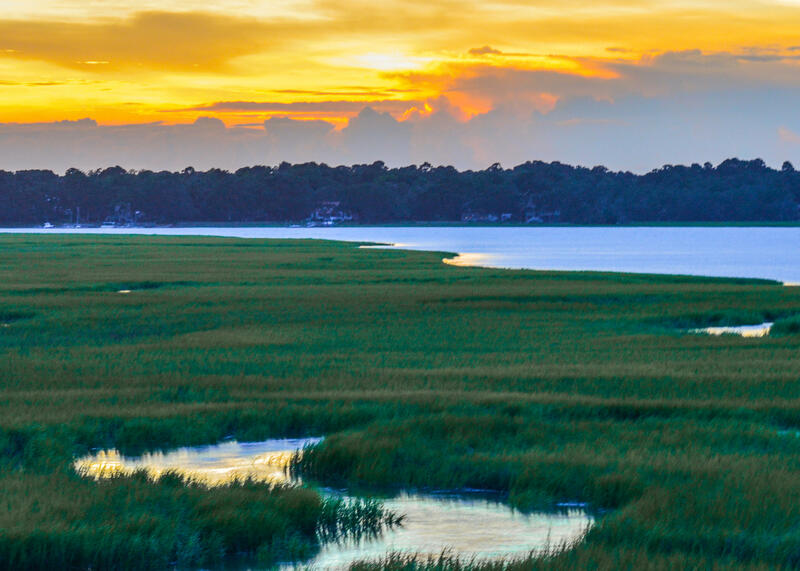 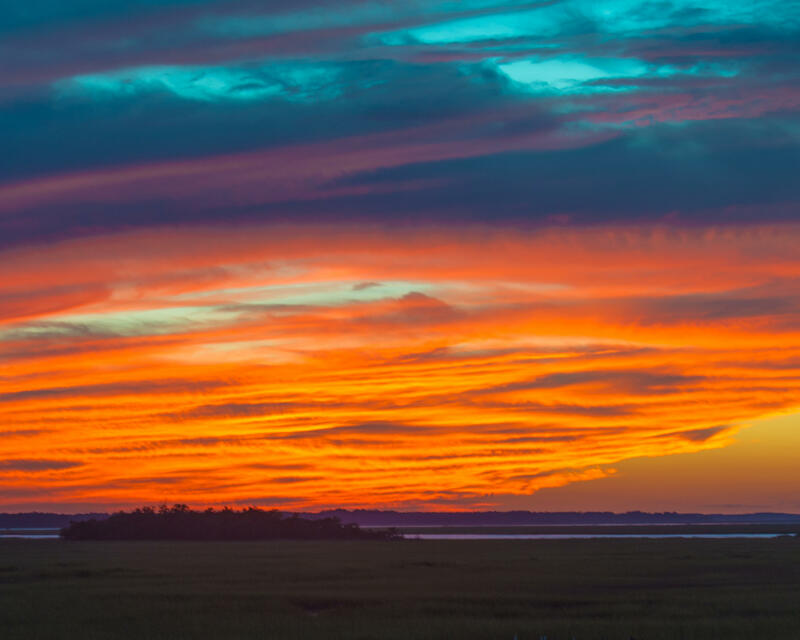 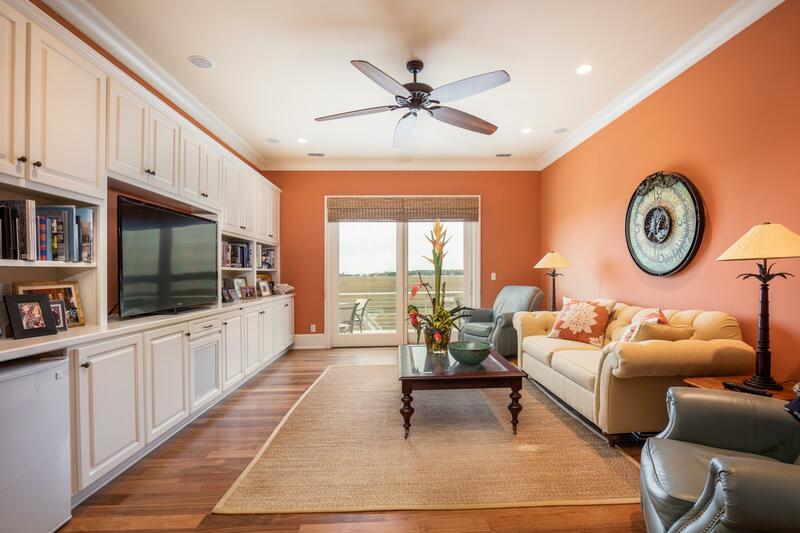 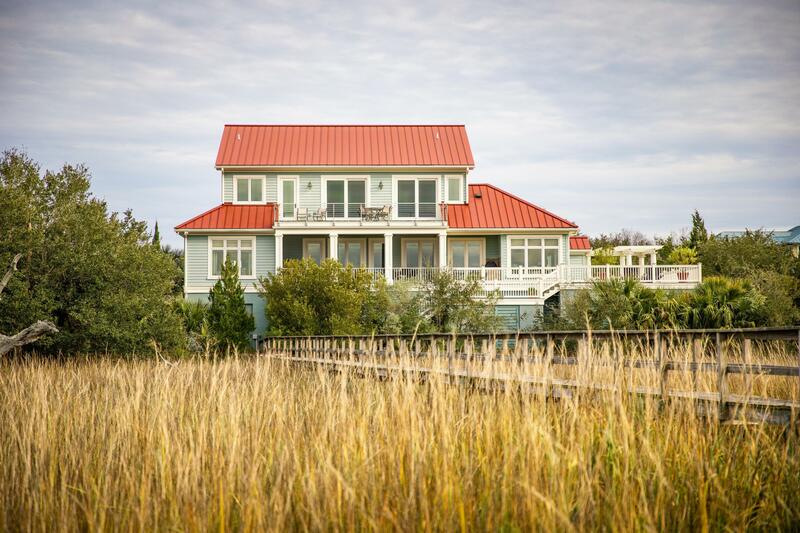 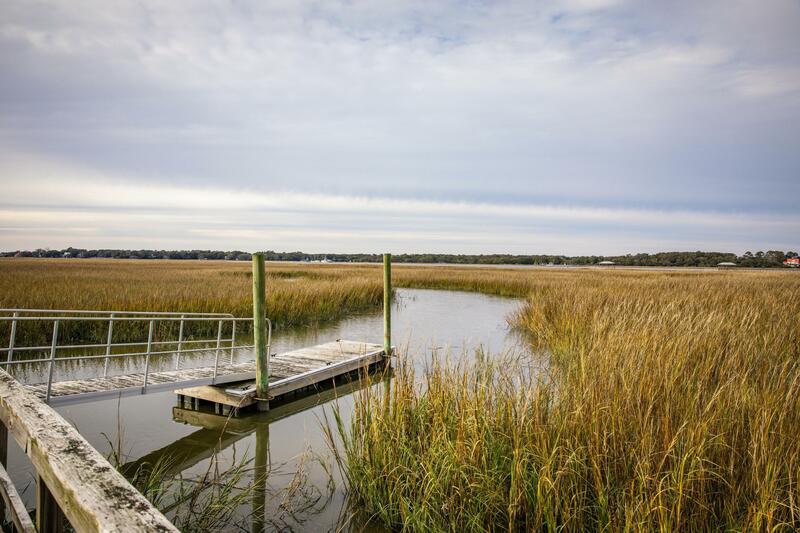 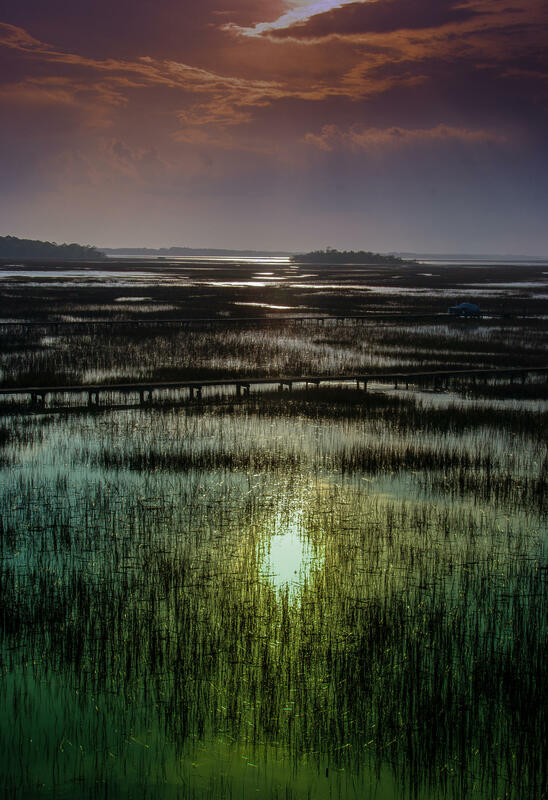 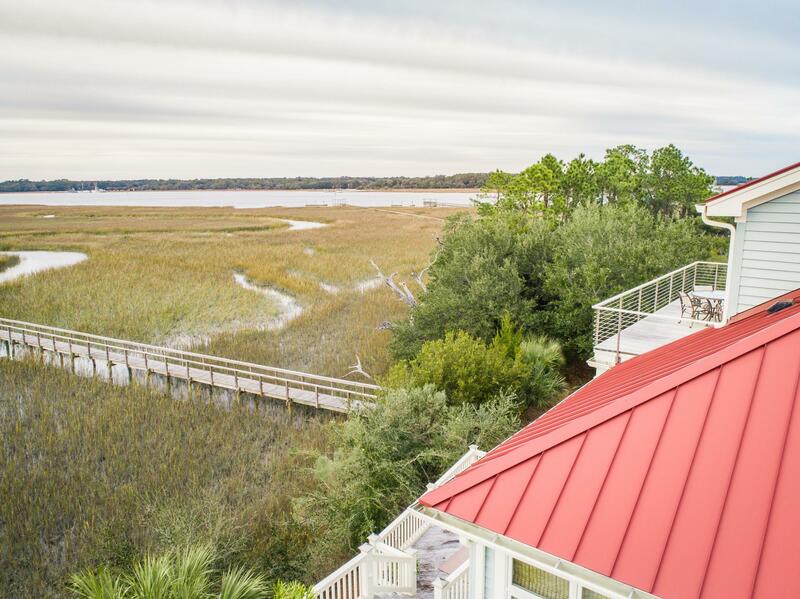 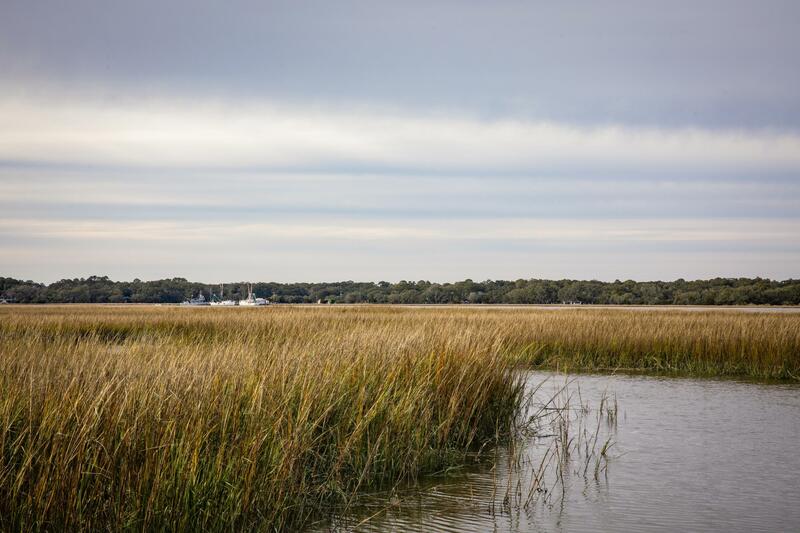 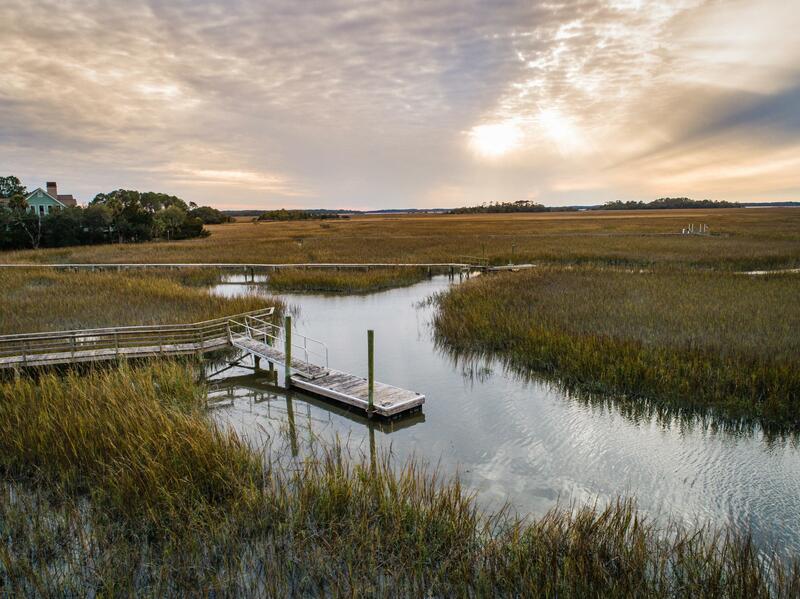 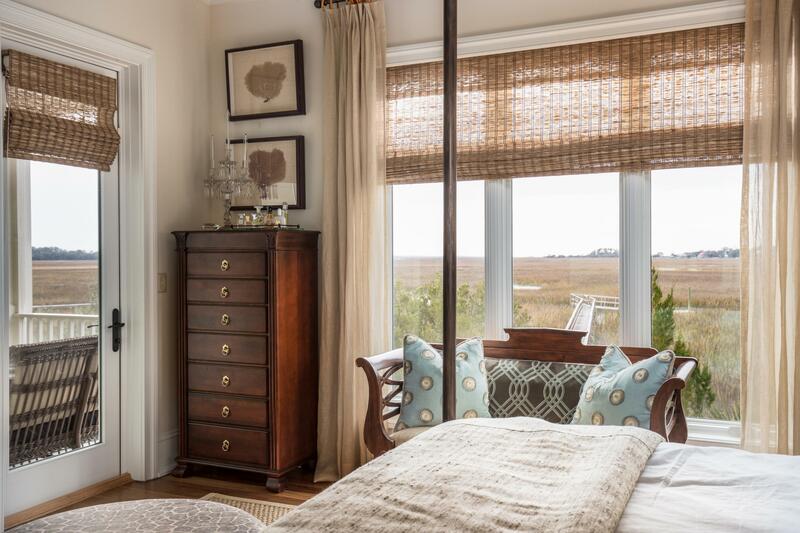 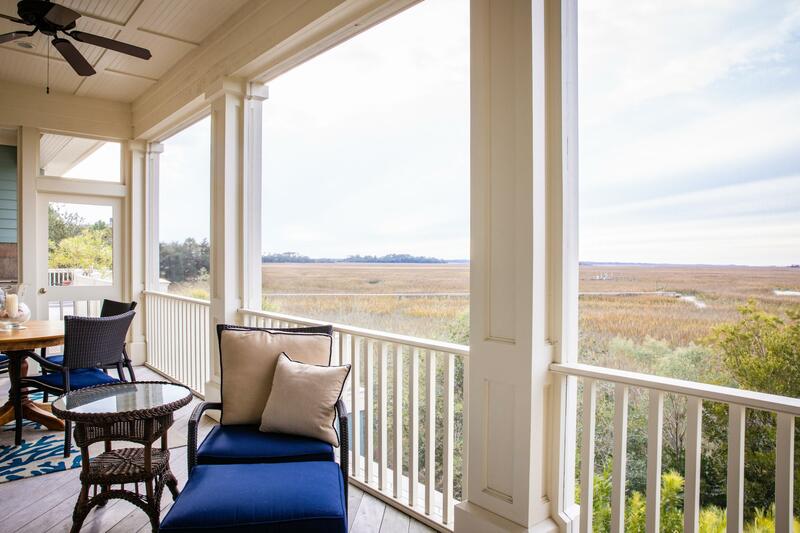 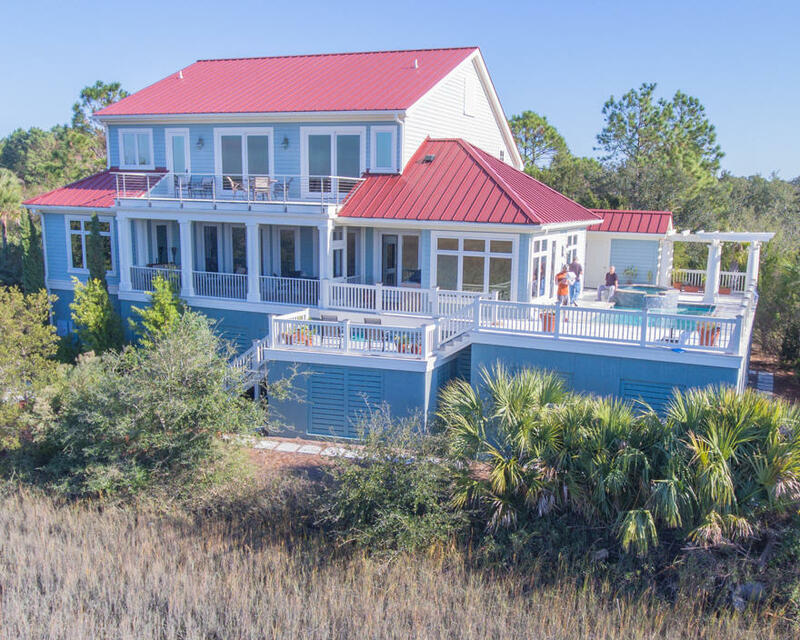 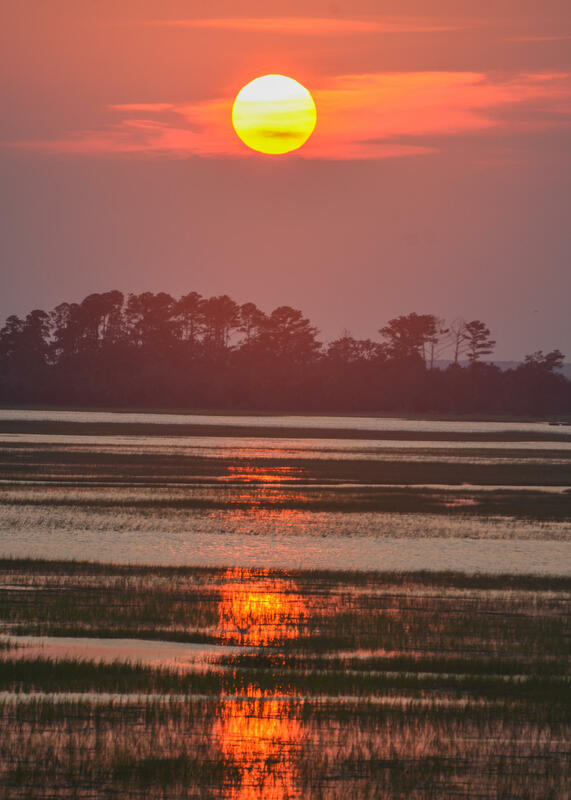 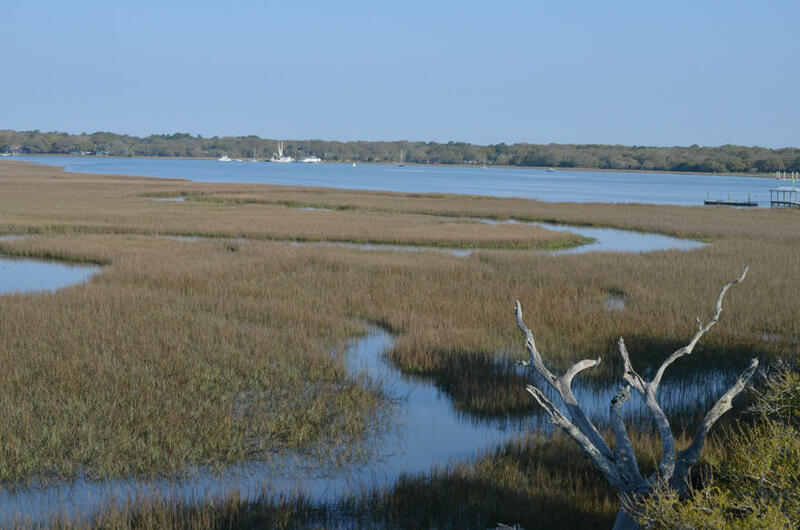 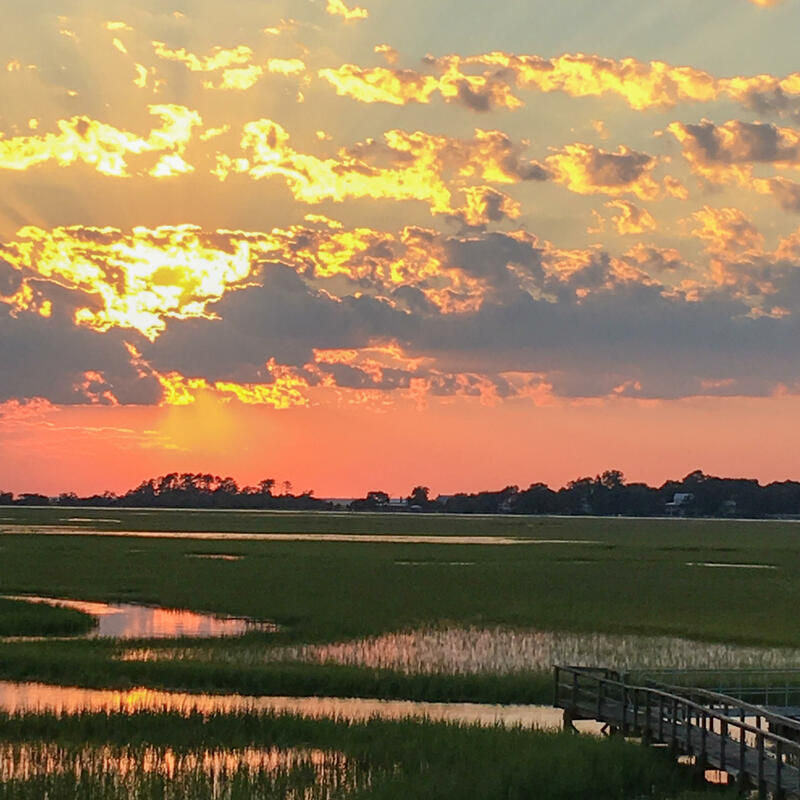 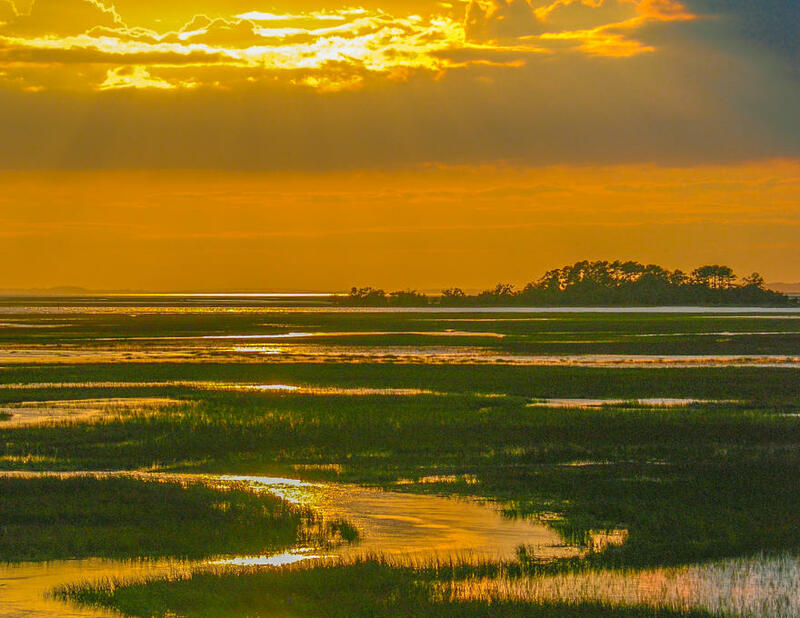 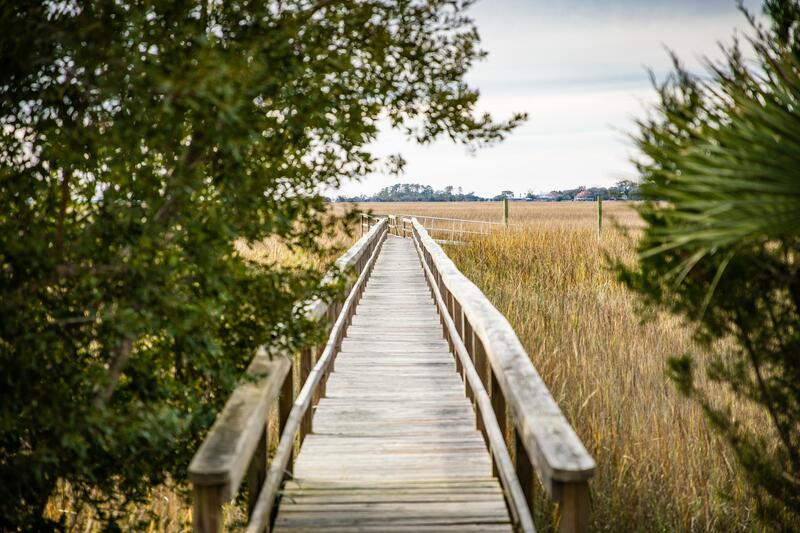 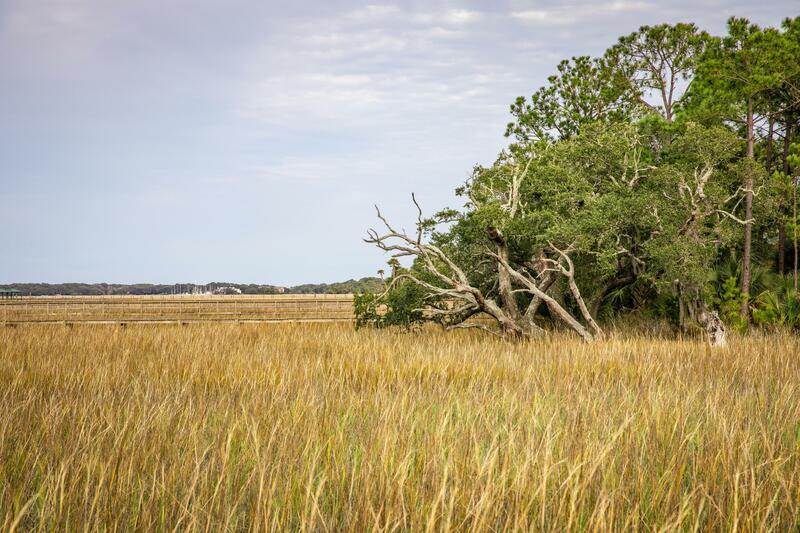 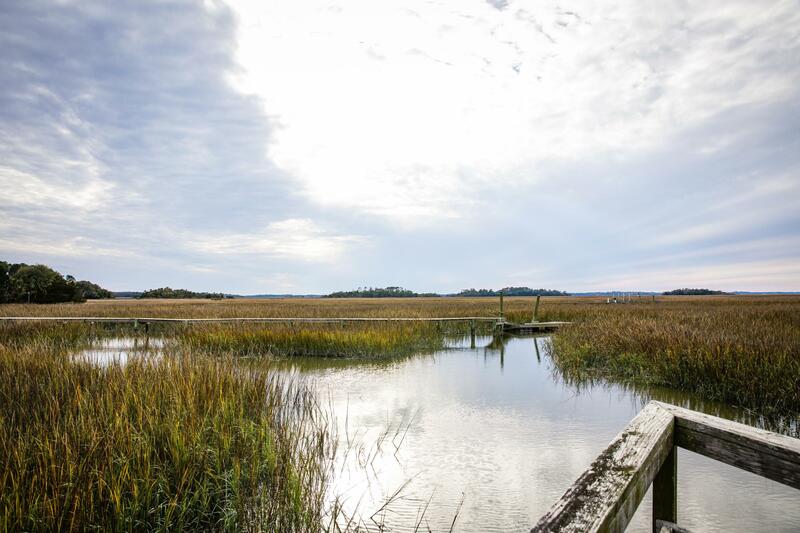 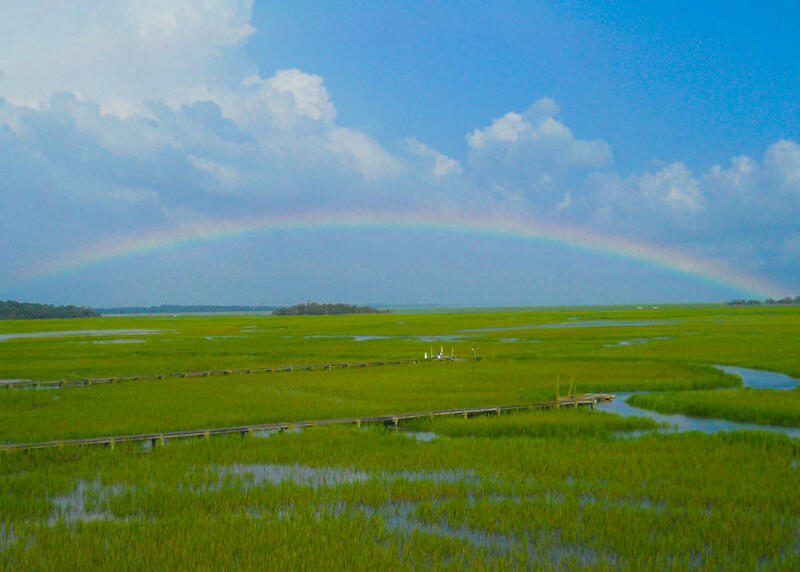 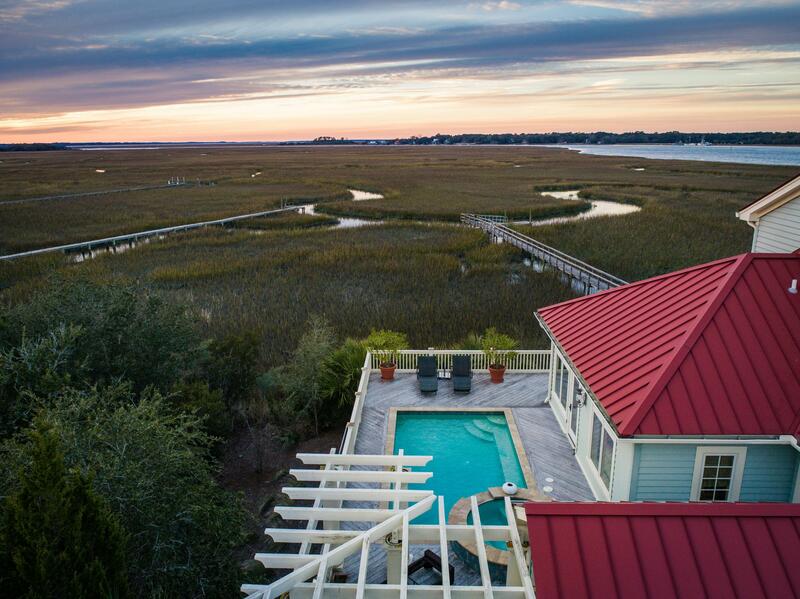 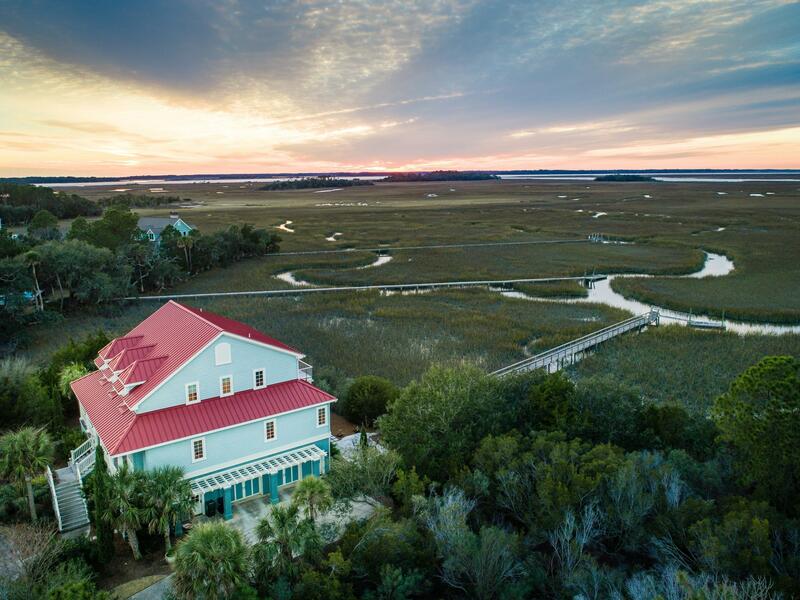 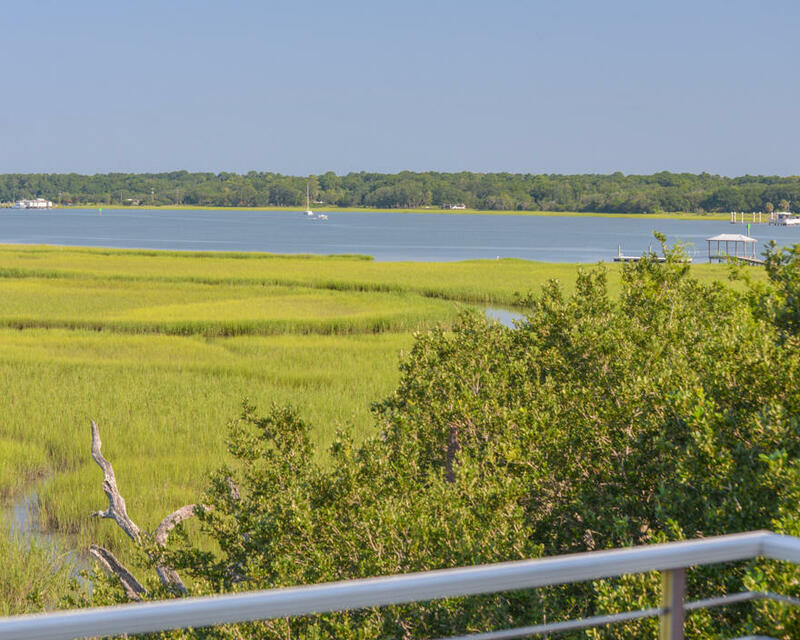 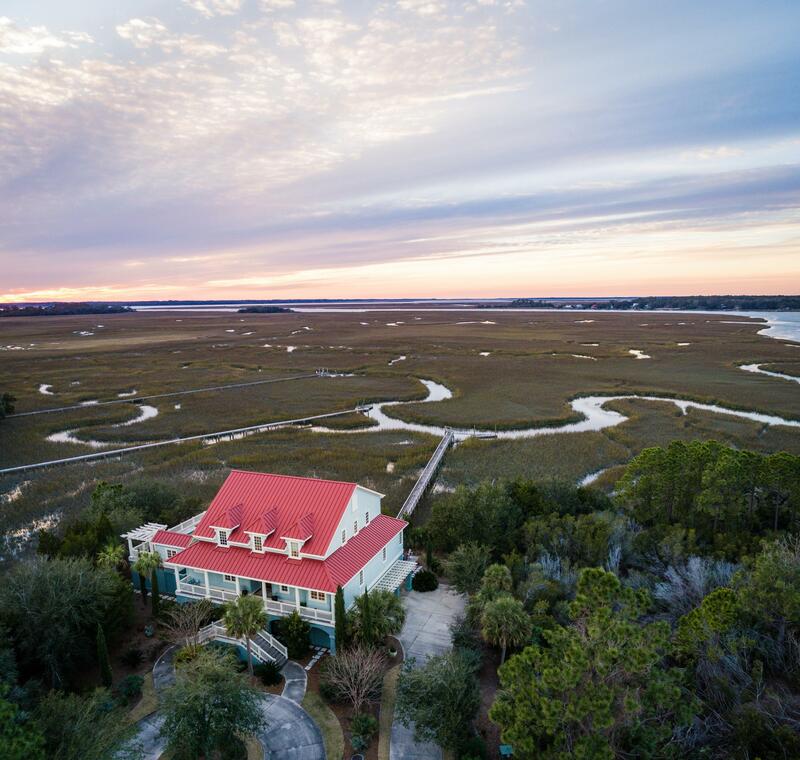 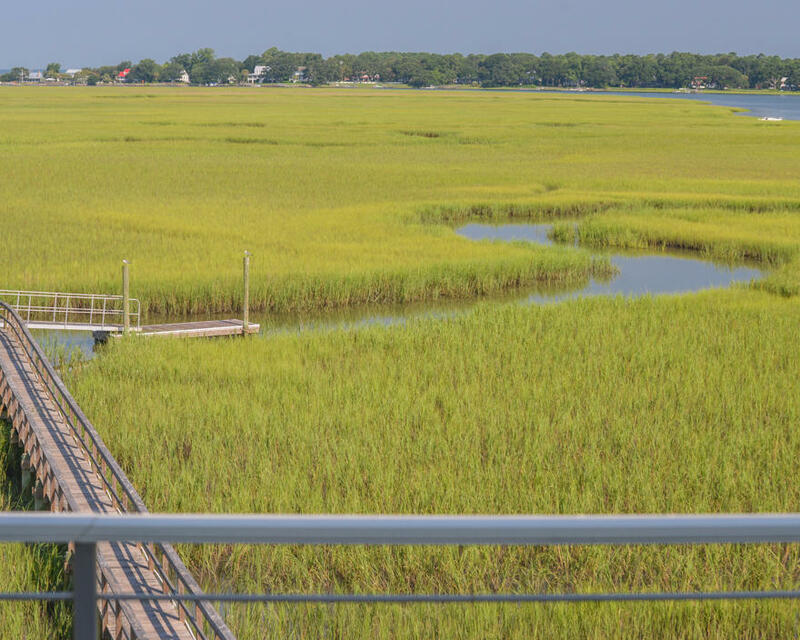 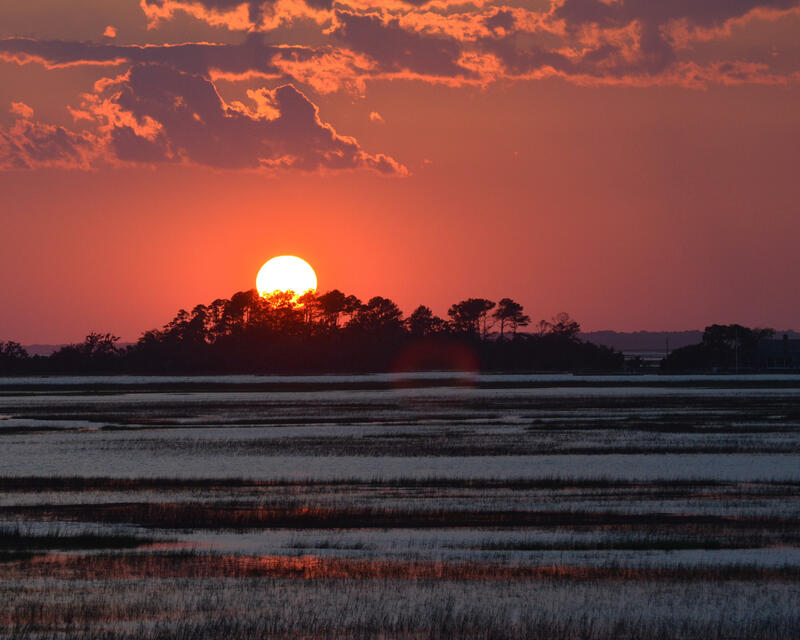 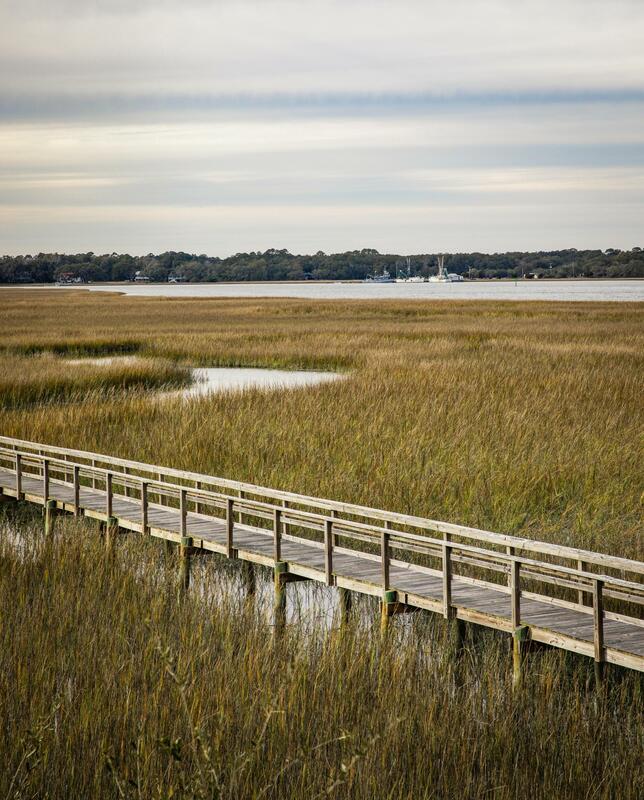 Once you walk through the door, you can't help but be blown away by the magnificent, expansive, and westerly views of marsh, water, shrimp boats, Rockville, and you can even see the Edisto bridge in the distance. 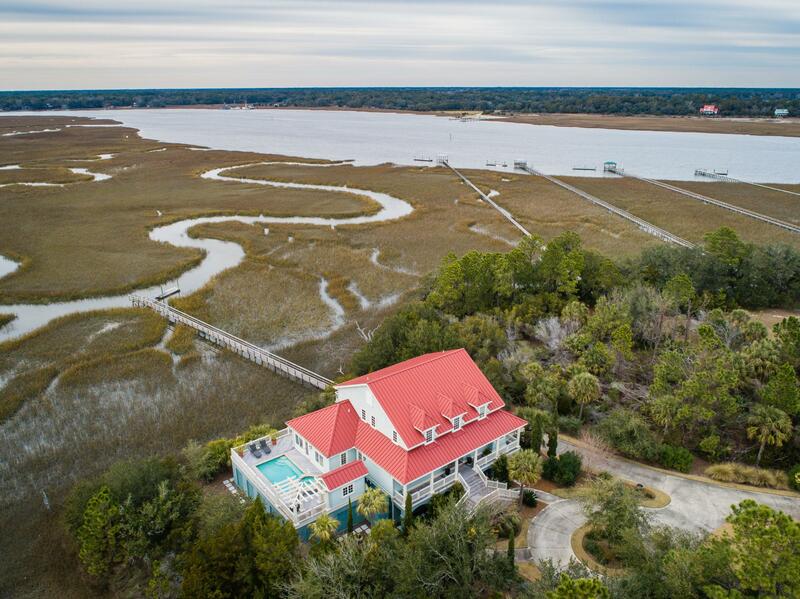 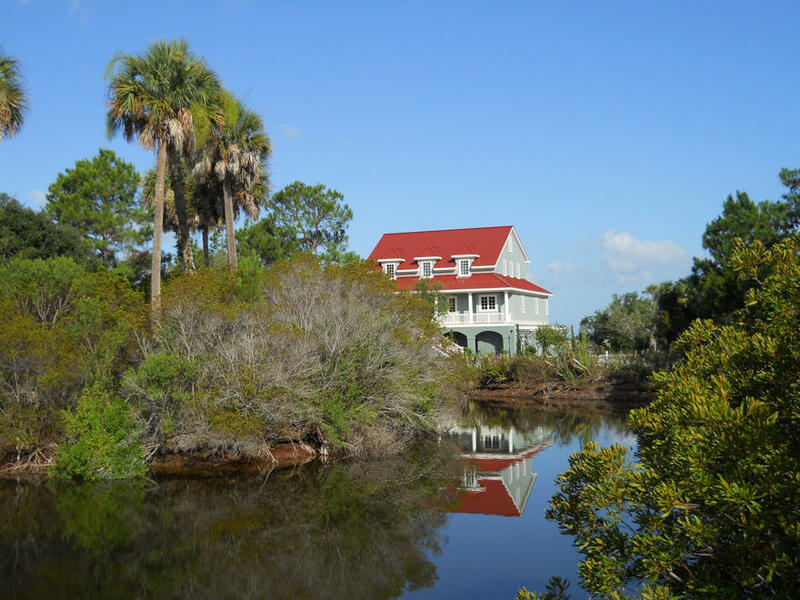 This home comes equipped with a dock with protective handrails and floating dock that provides quick boating access to Bohicket Creek. 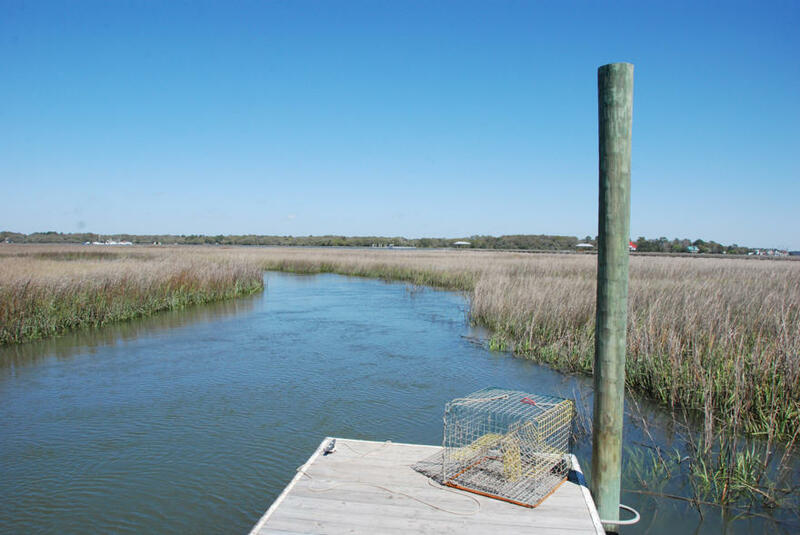 It is tidal and navigable at least 2/3 of the hours of a 24 hour tidal cycle. 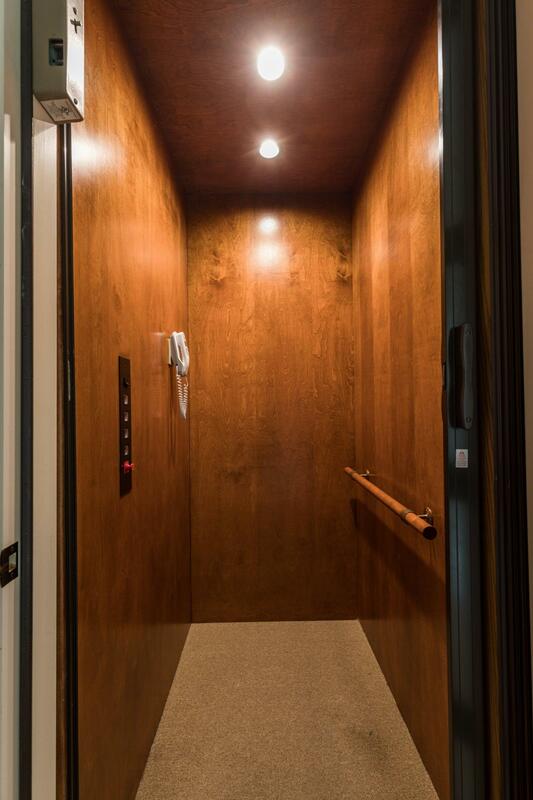 It accommodates up to a 20' boat. 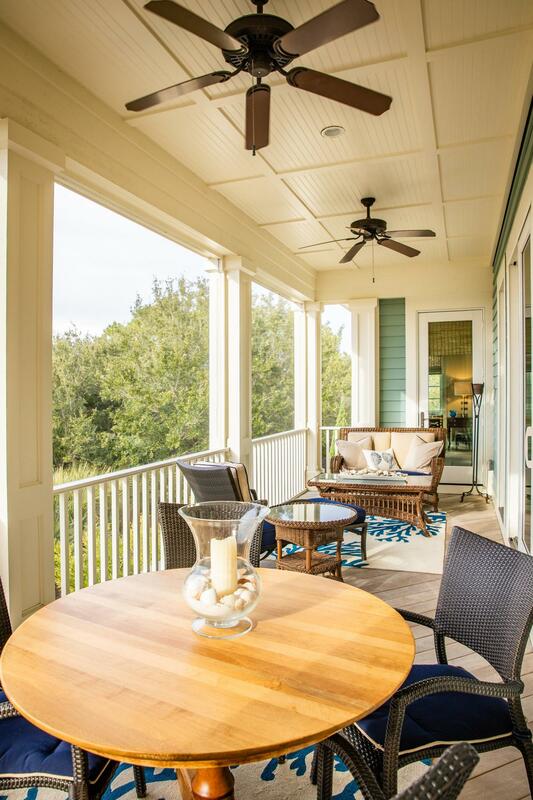 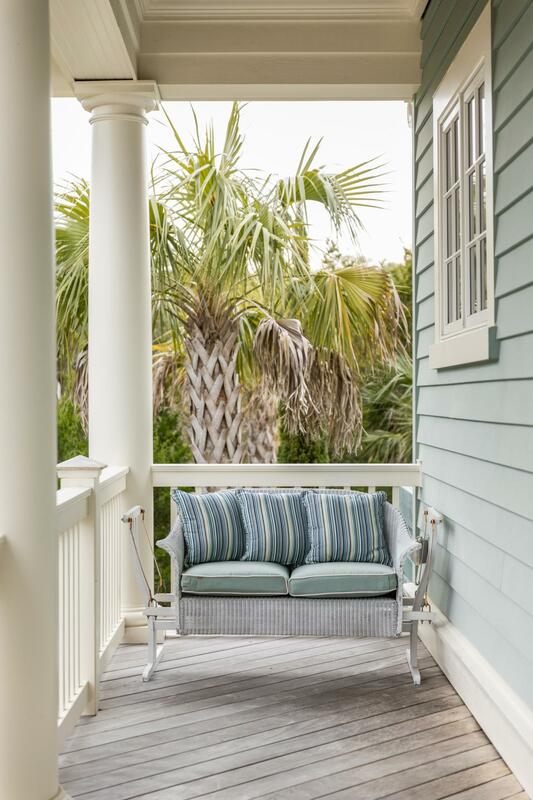 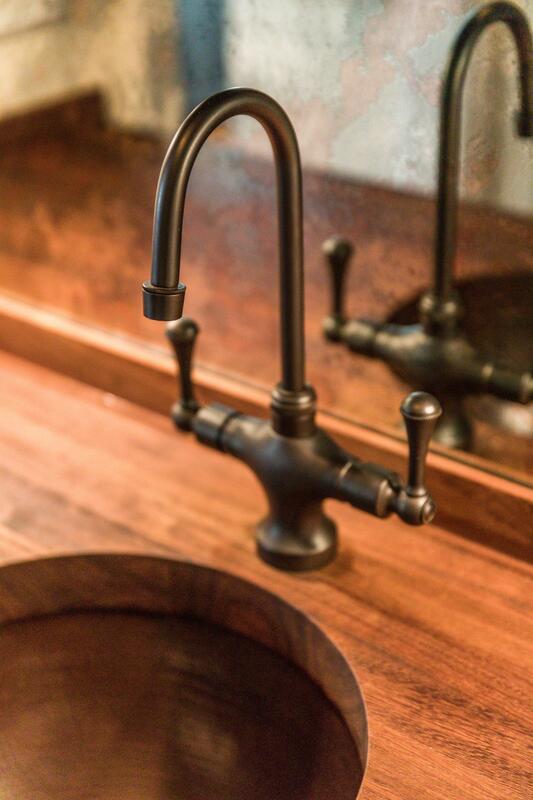 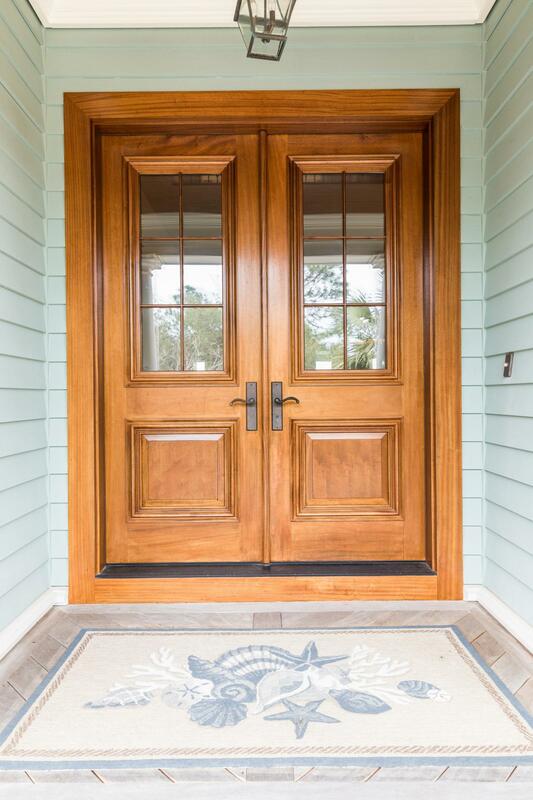 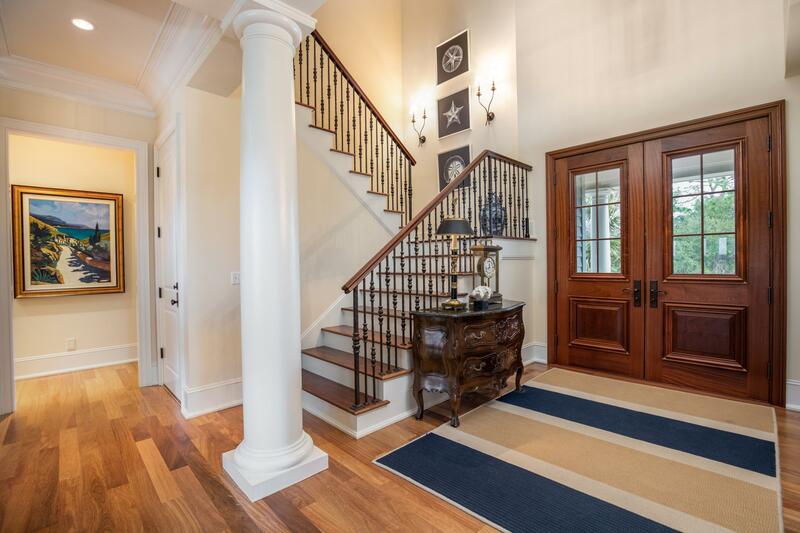 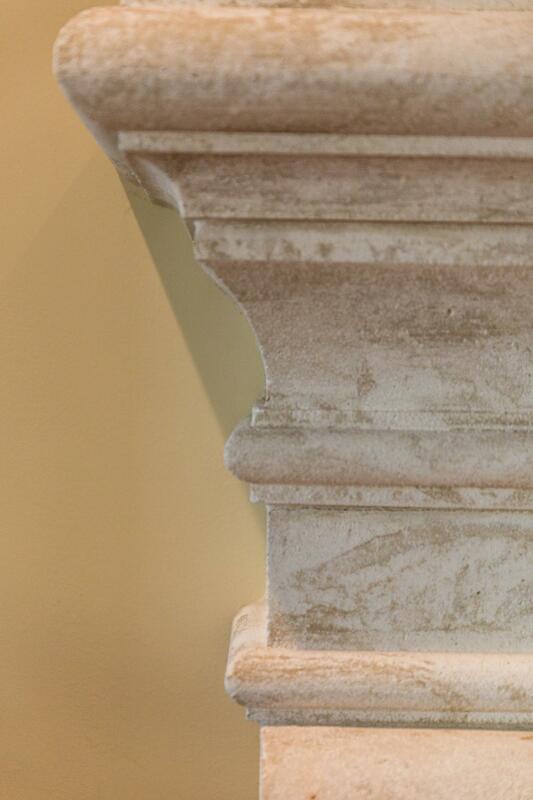 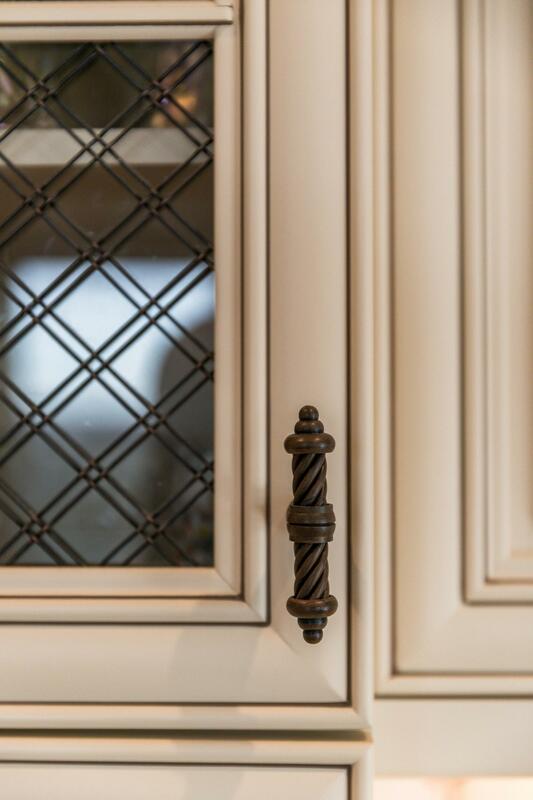 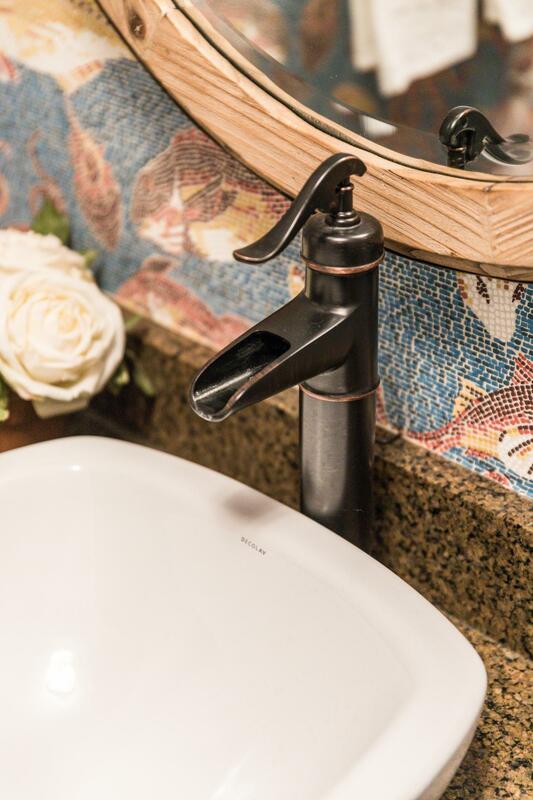 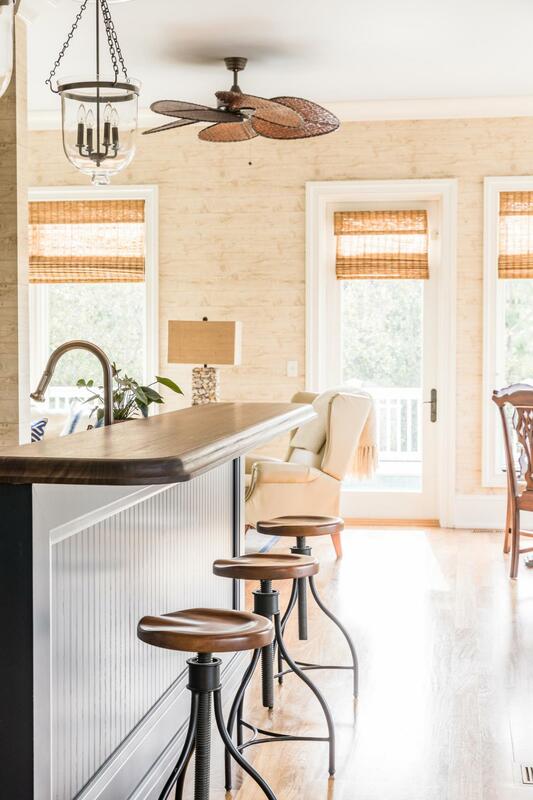 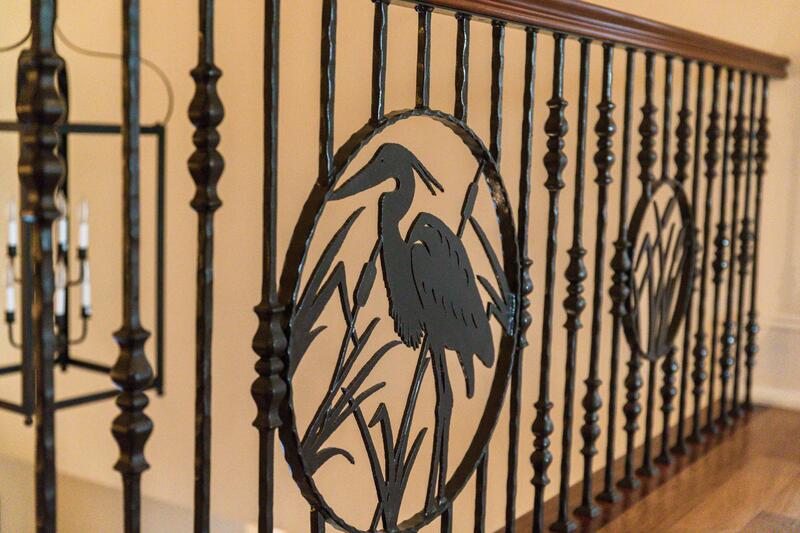 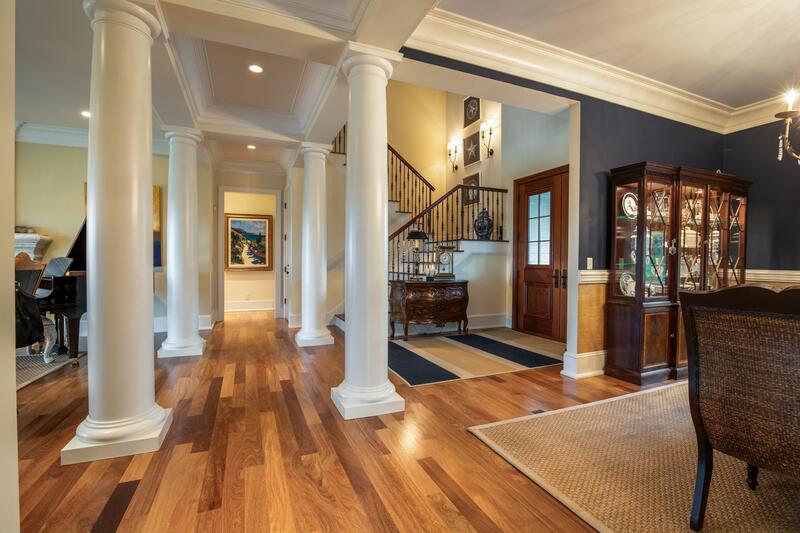 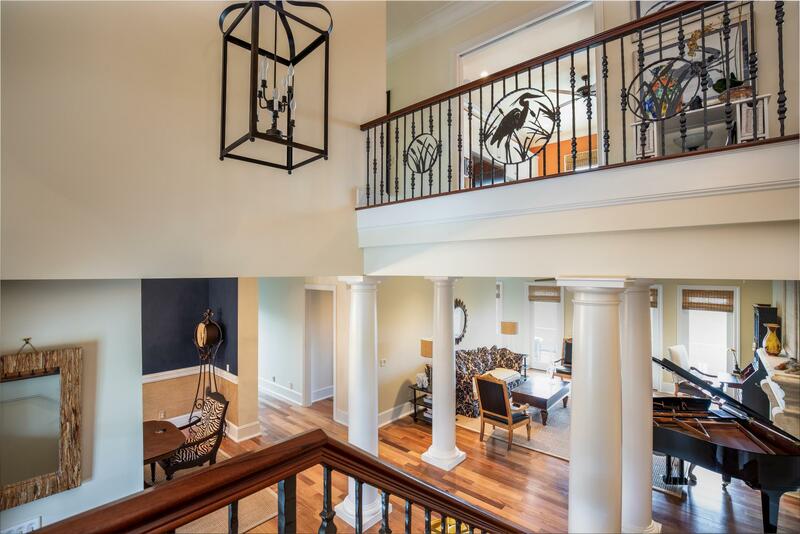 As you enter the home, if you look up, you will notice custom wrought iron railings designed by the owners and fabricated by a local Charleston artisan, and you will also notice the gorgeous Brazilian teak flooring. 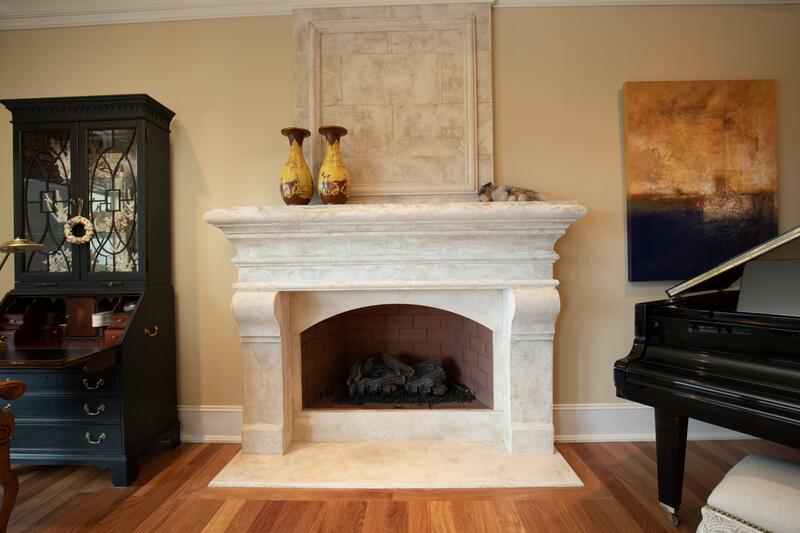 There are so many custom features to this house such as custom gas fireplace designed by a local Charleston artisan, oversized custom mouldings and baseboard carpentry, central vac, tankless Rinnai water heater, all cabinetry is custom-made throughout the home, granite countertops in kitchen and all baths, designer light fixtures, Scalamandre wallpaper clad powder room, alarm system, 3-stop elevator, six rooms have direct access to porches, and seven rooms have scenic views of the creek. 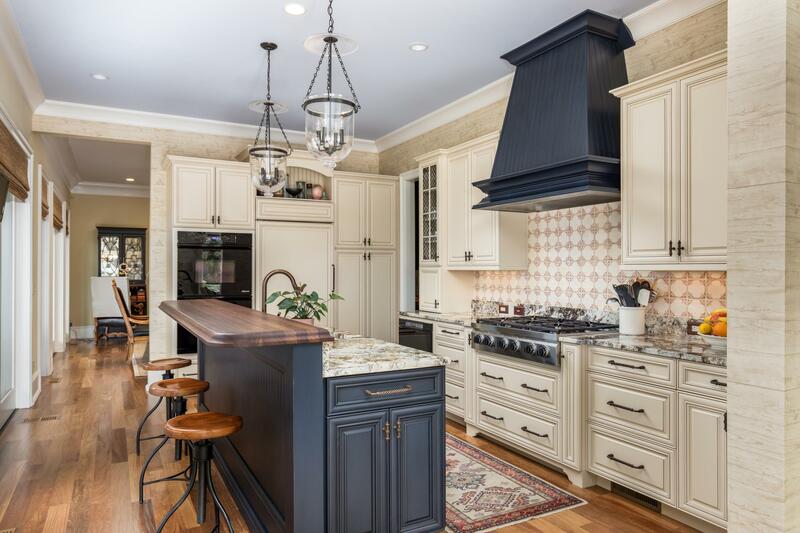 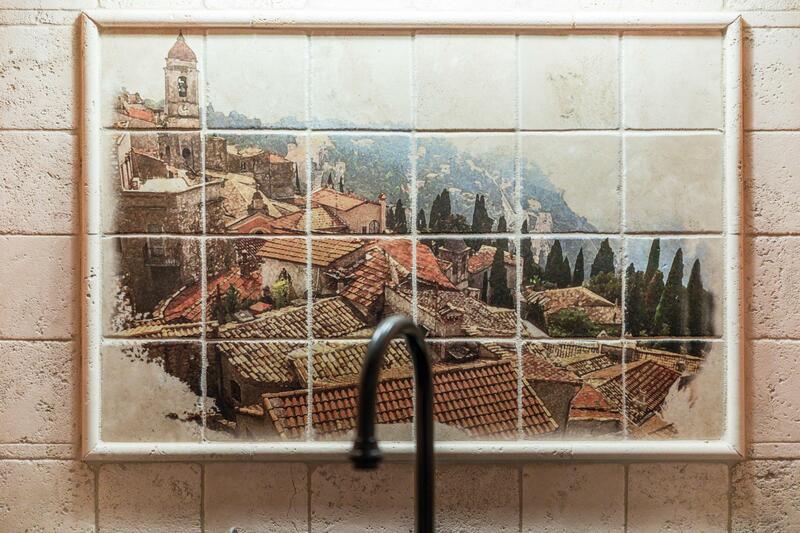 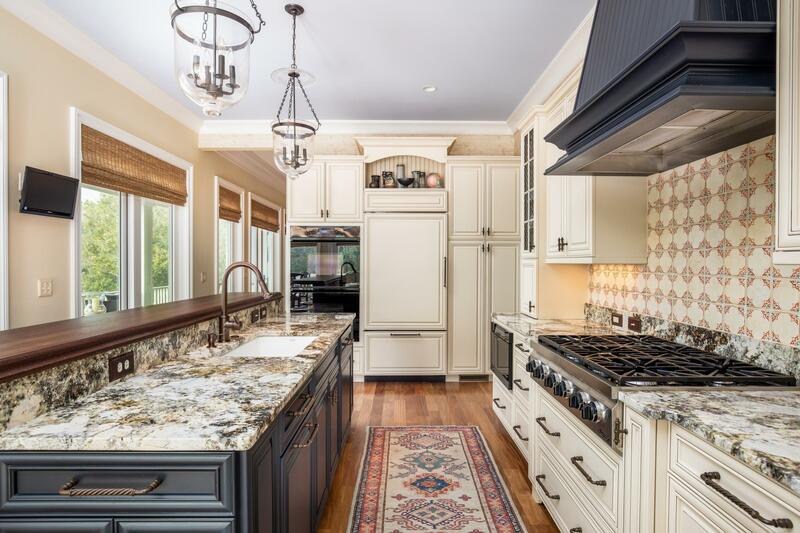 Cooking from this kitchen would give any chef great pleasure while watching these views from all of the kitchen work space! 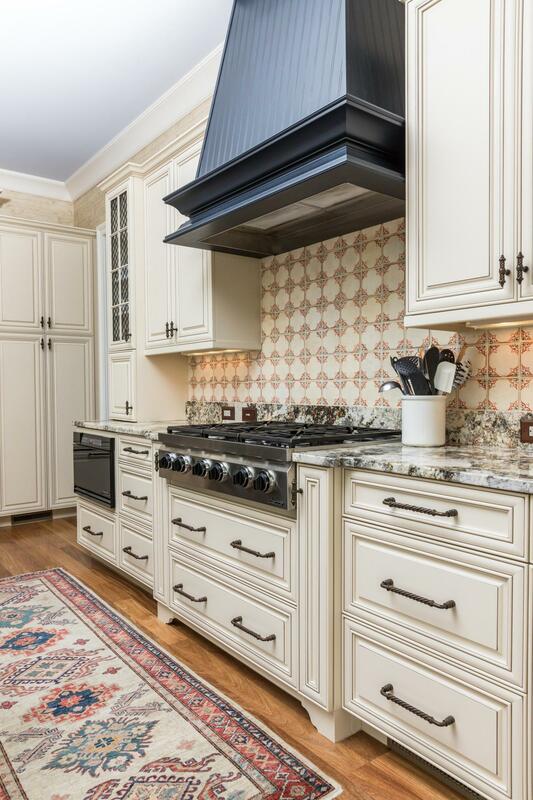 Enjoy Dacor gas cooktop, wall ovens, Sub-Zero refrigerator, double sink, designer tile backsplash, large pantry with custom shelving, grilling deck right outside the kitchen with appliances, and eat-in breakfast area with sitting area as well. 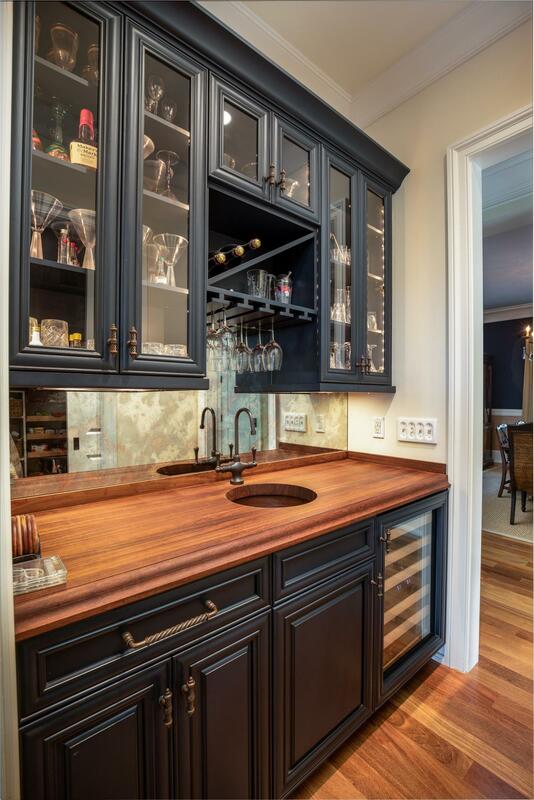 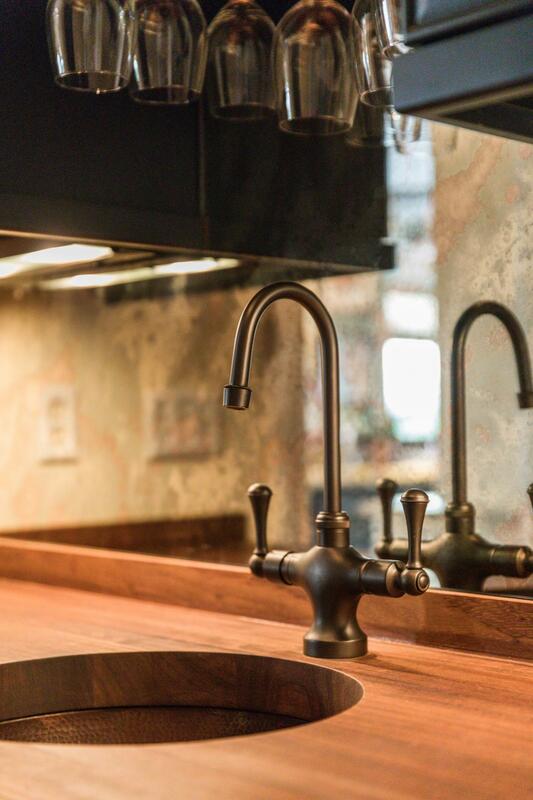 Just off the kitchen is a wet bar with Iroko wood countertops, wine refrigerator, and custom cabinetry for your barware. 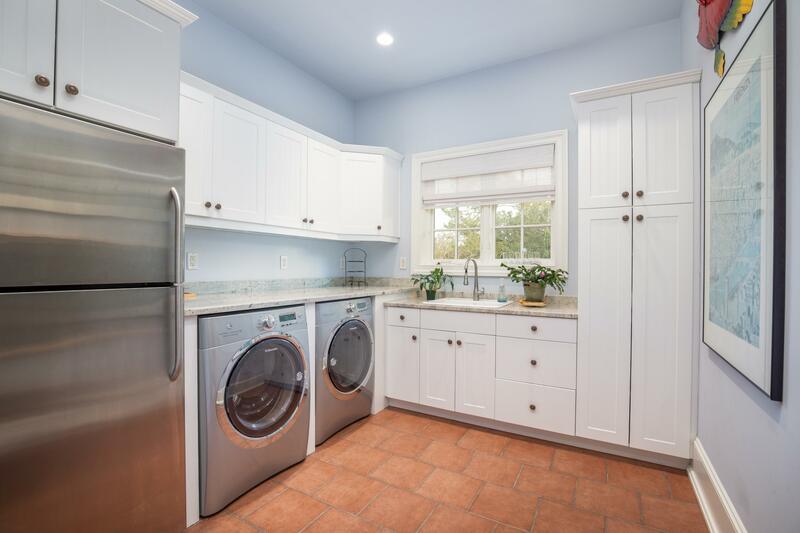 This home has a large traditional dining room, oversized laundry room/mud room with sink, refrigerator, and folding counter. 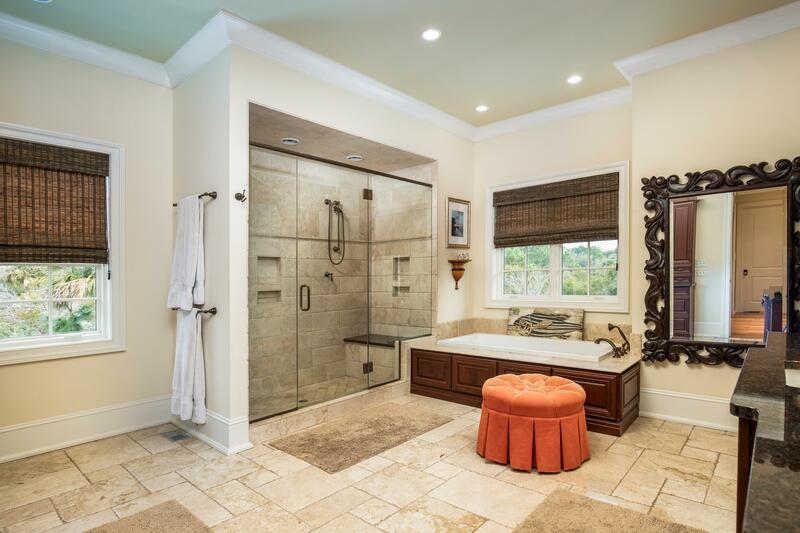 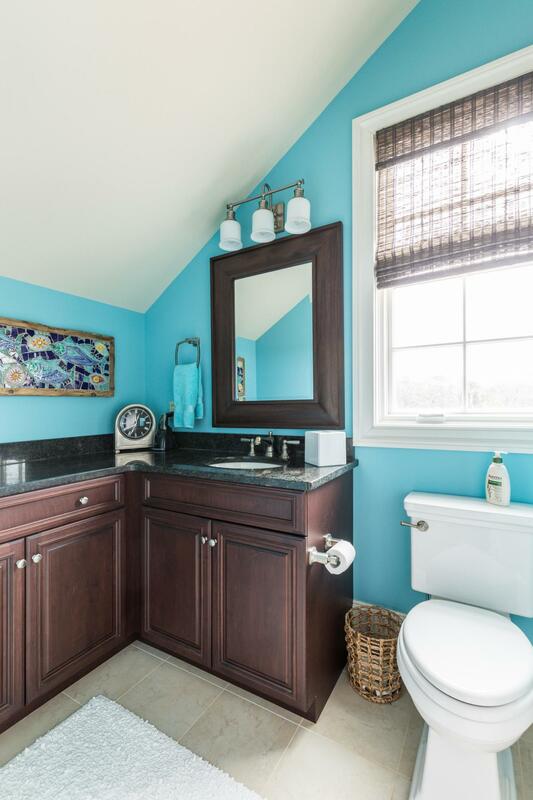 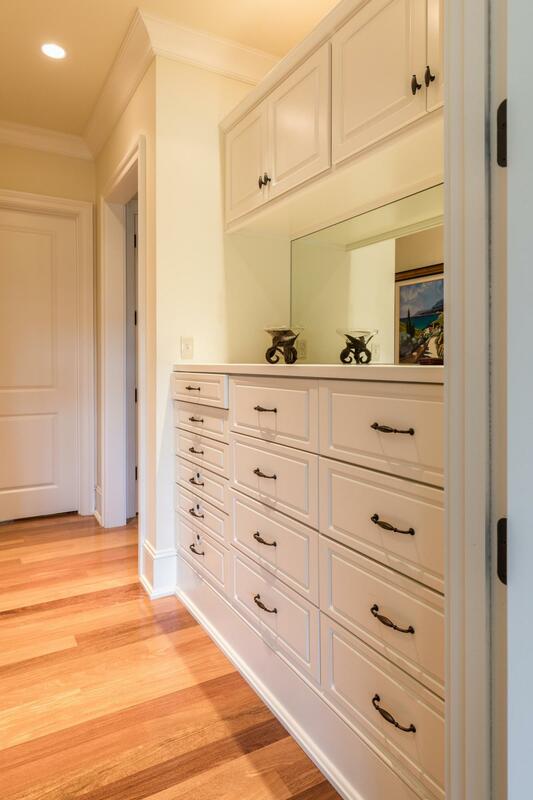 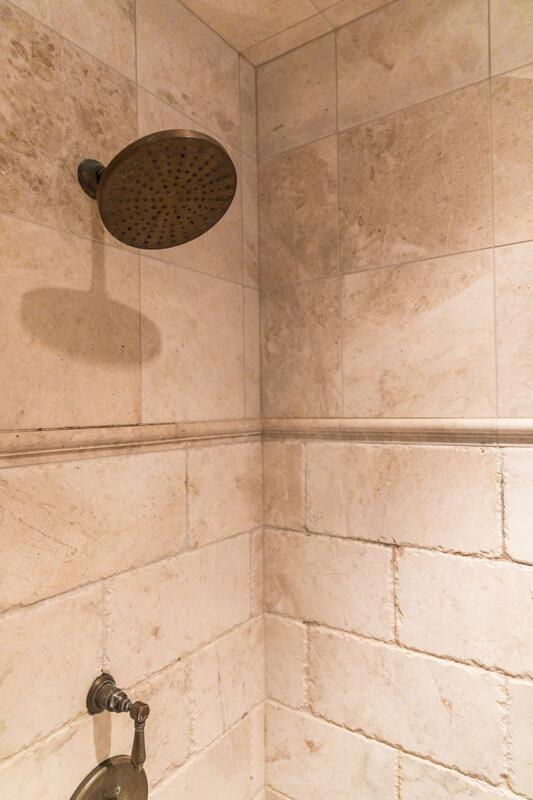 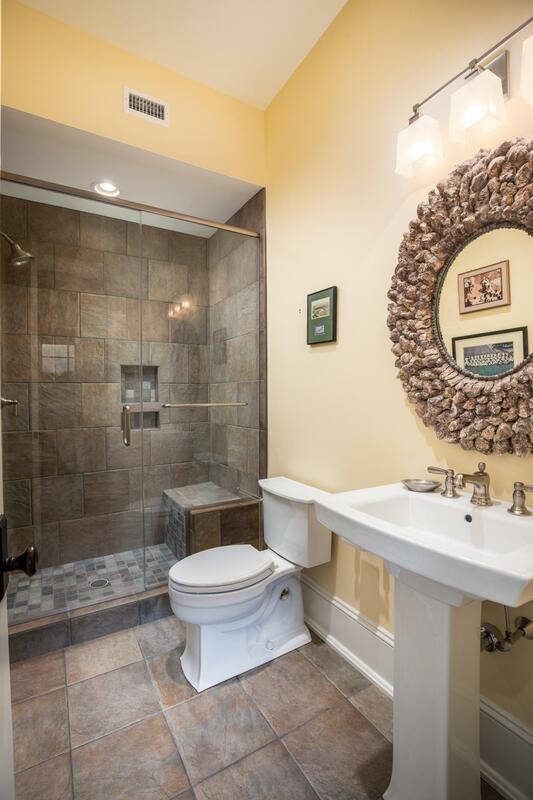 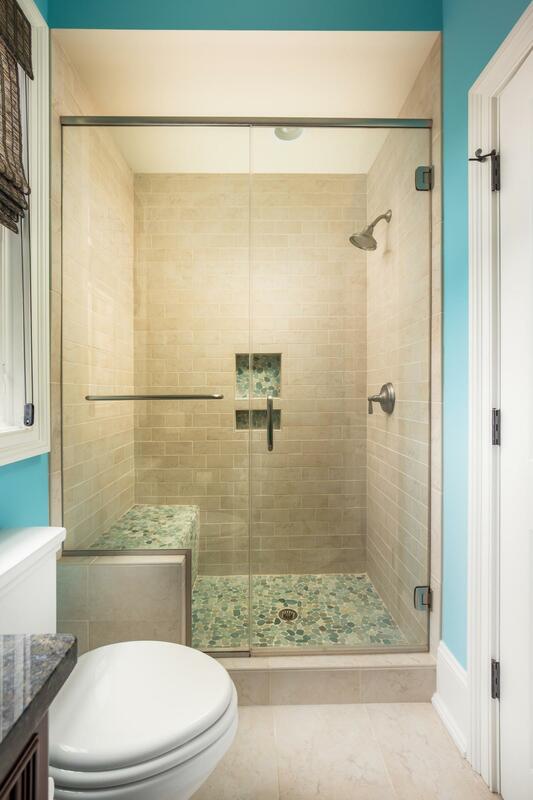 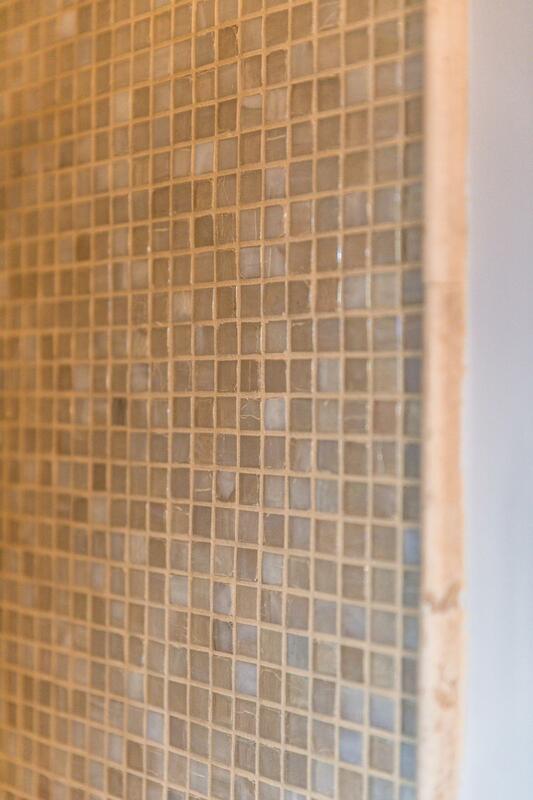 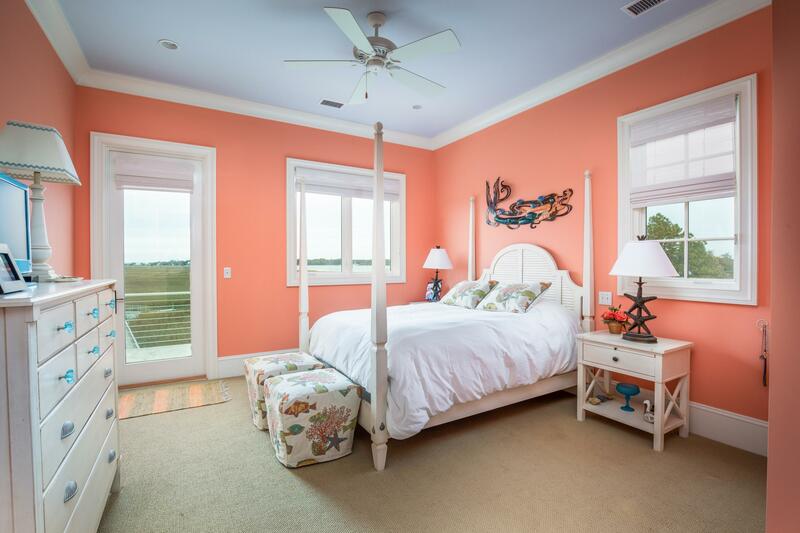 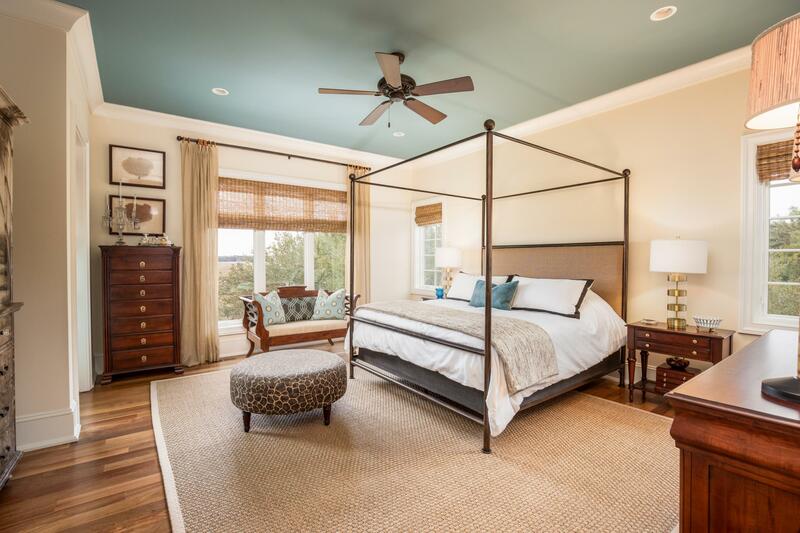 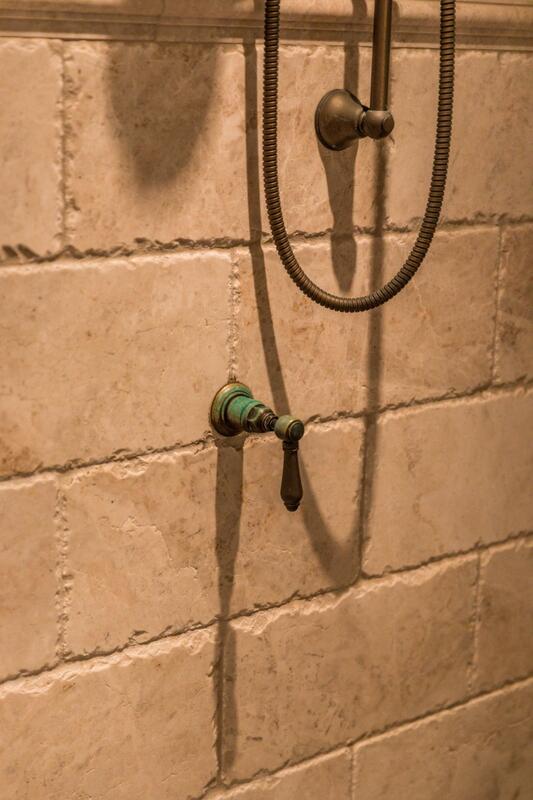 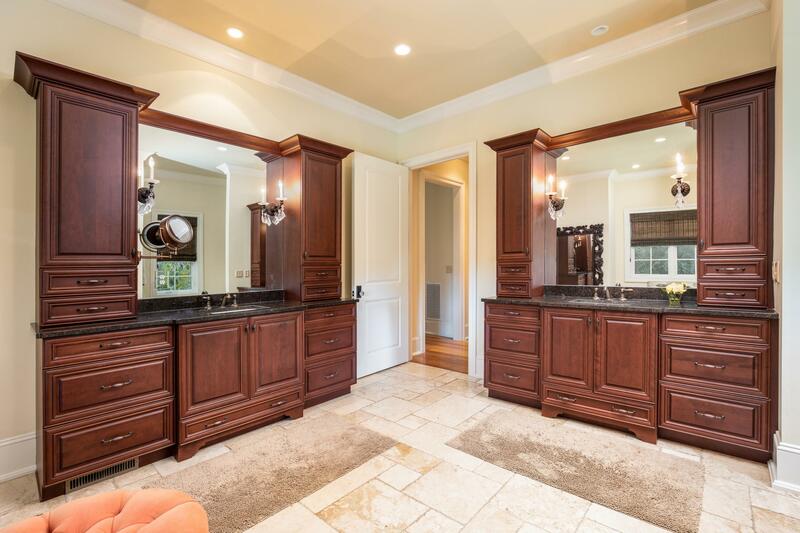 The master suite includes a massive master bathroom with garden tub, large tiled shower, his and her vanities, large closet with custom integral shelving system from floor to ceiling, and of course the bedroom has amazing views and porch access. 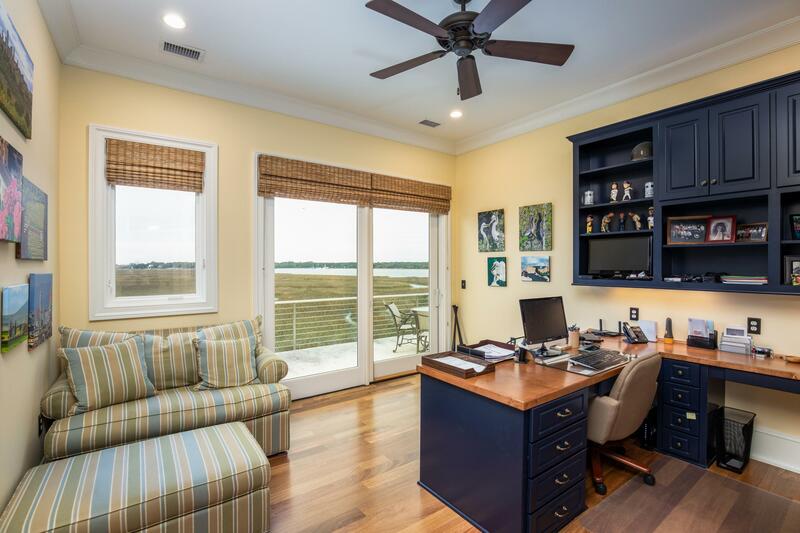 Upstairs there are 3 bedrooms, one of which is being used as an office with custom built-in bookshelves and desk, and all have en suite bathrooms. 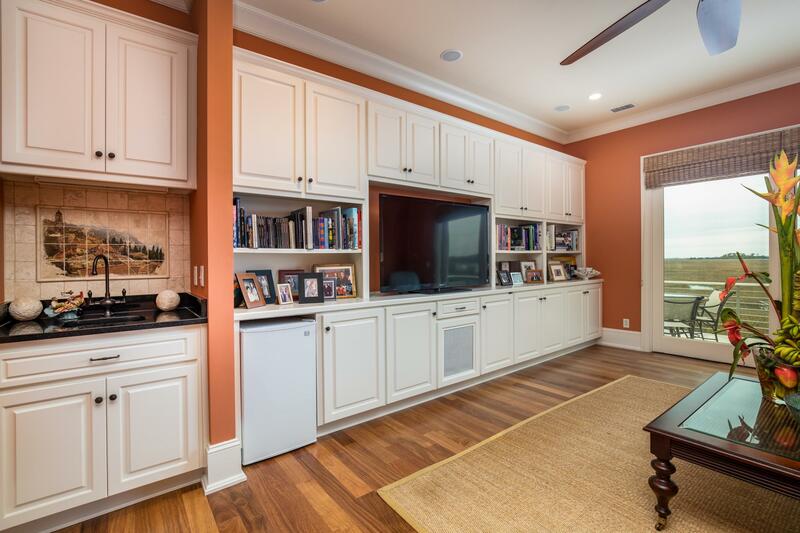 There is also an upstairs family room with built-in cabinetry and wet bar. 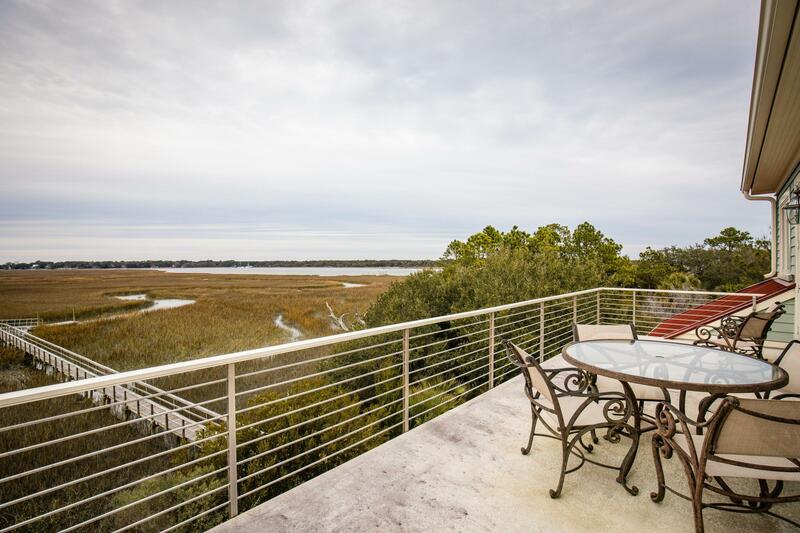 Three of these rooms upstairs provide deck access to take advantage of the views. 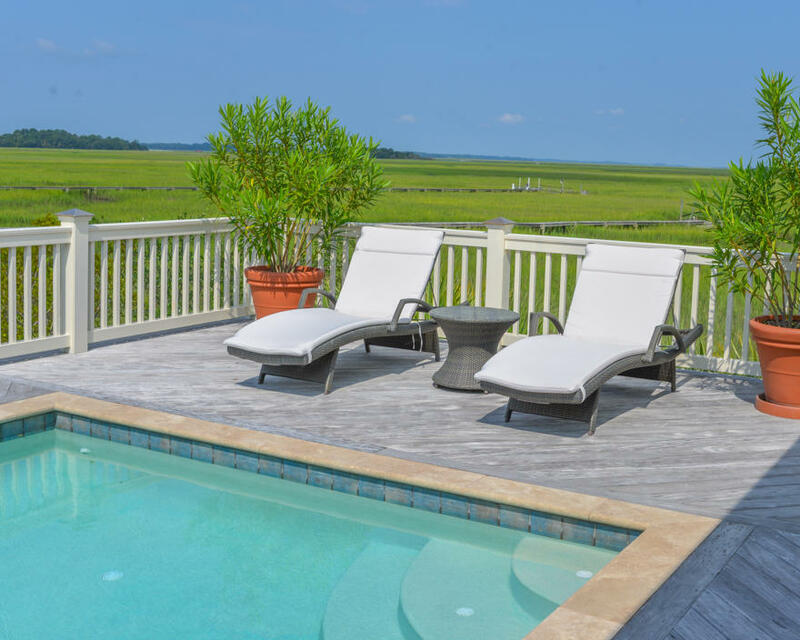 Now to the really exciting part... this home has a heated pool and hot tub surrounded by Ipe decking and is overlooking the best parts of the view. 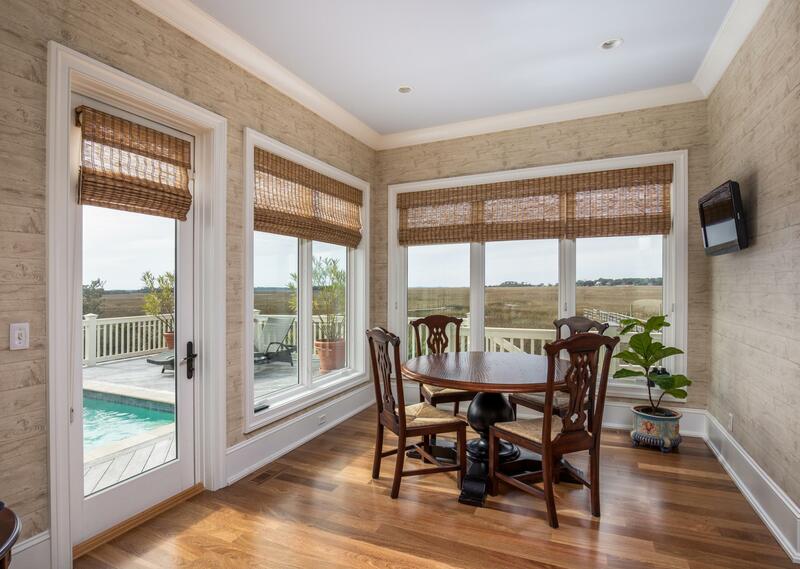 Large screened porch is equipped with transparent screening to accentuate this fabulous view. 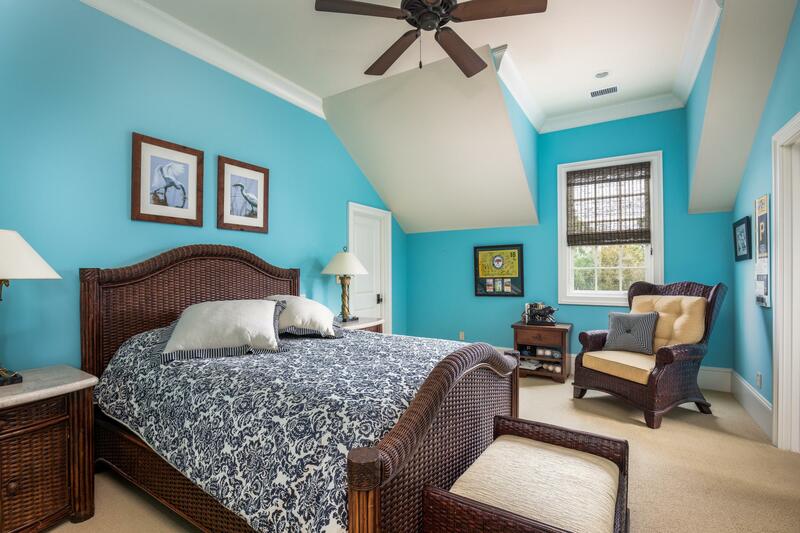 It is accessible from the kitchen, living room, and master bedroom. 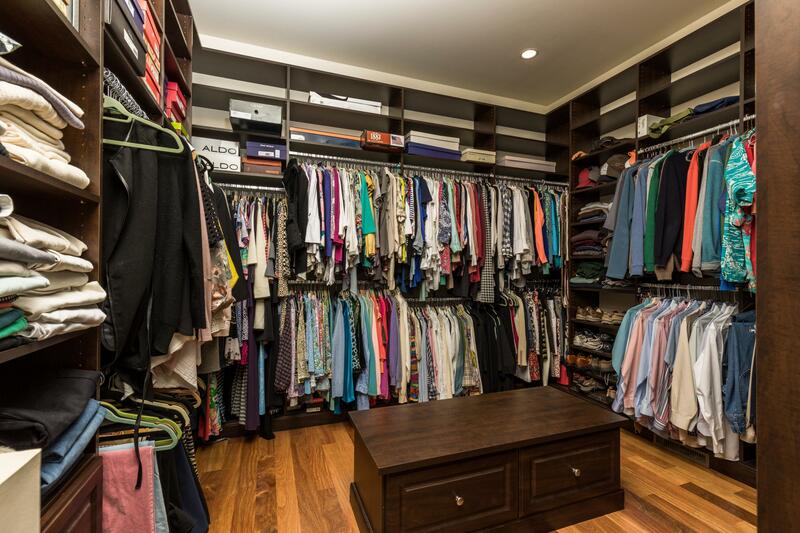 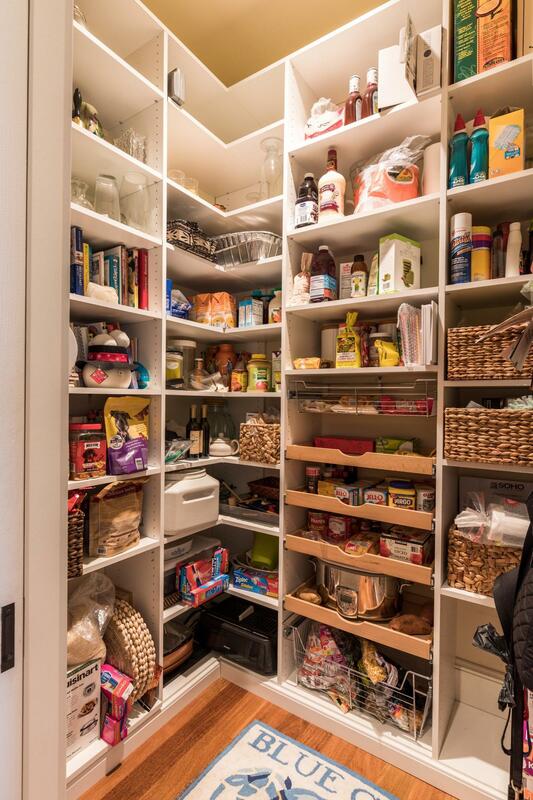 The garage is a 2 car garage with enormous storage capability and built-in clothes/utility closet. 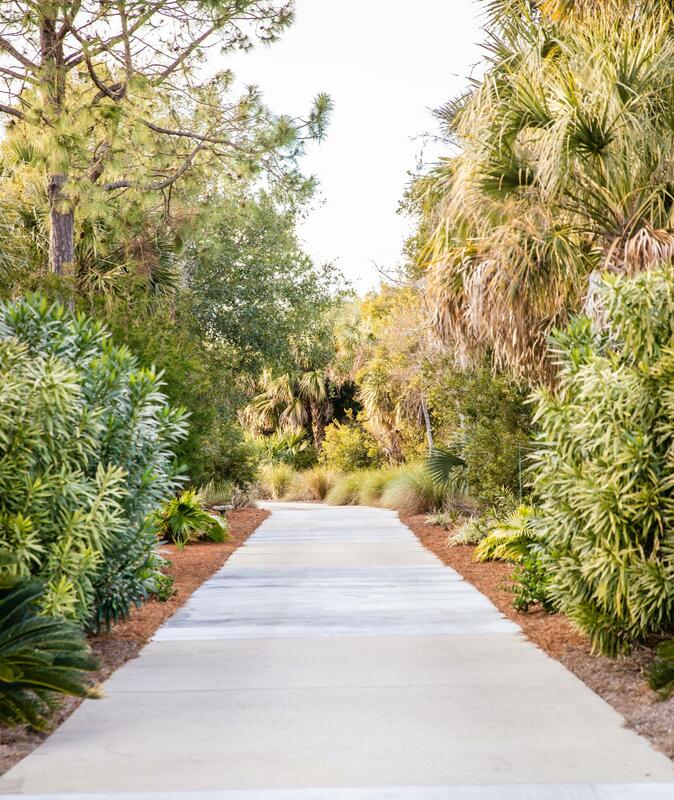 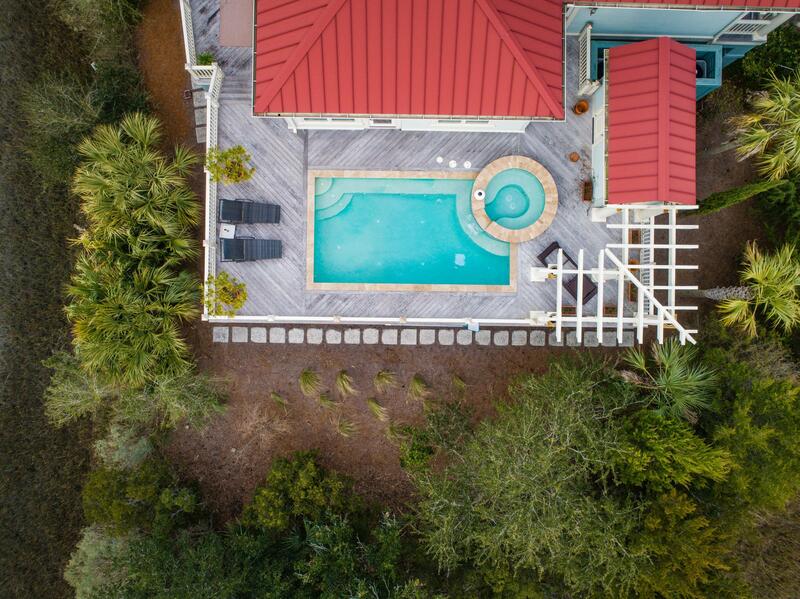 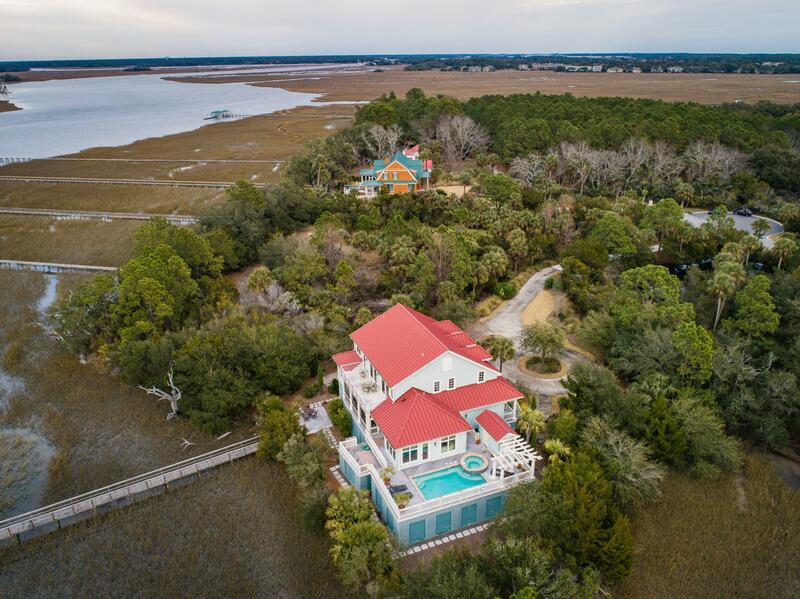 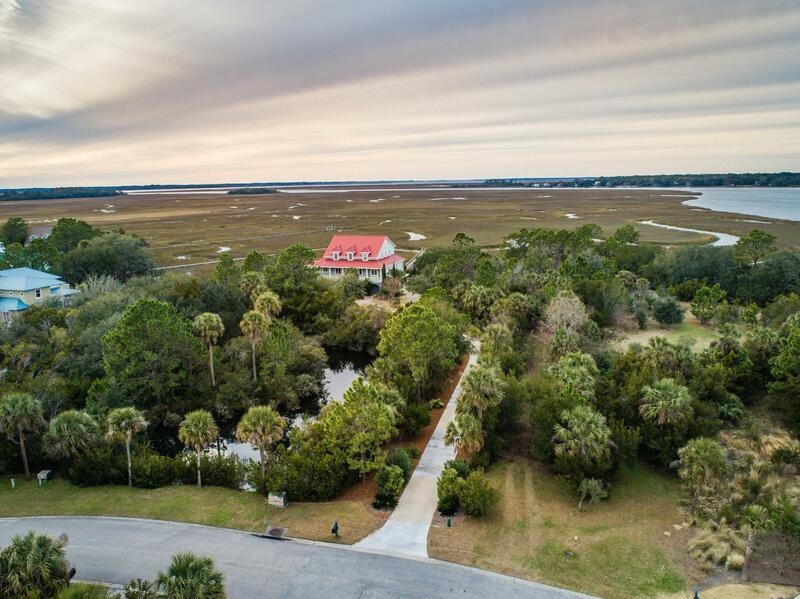 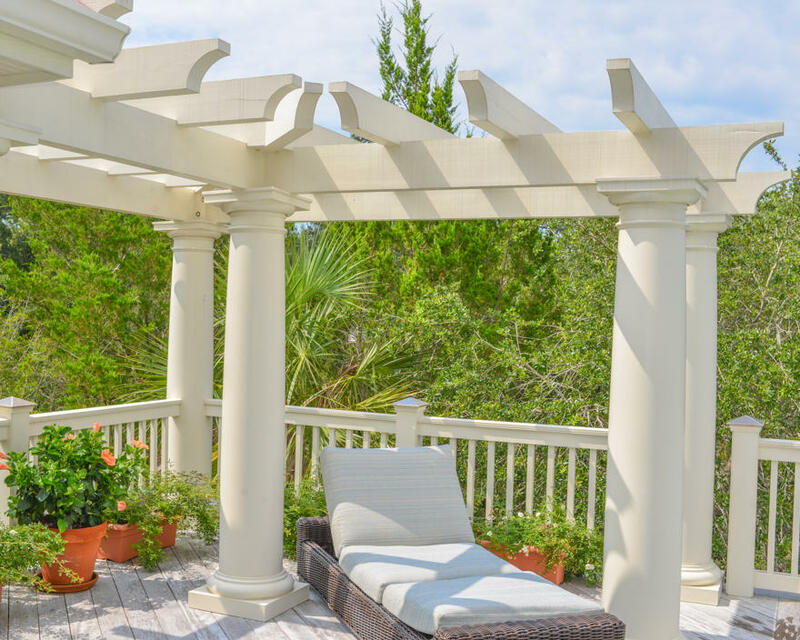 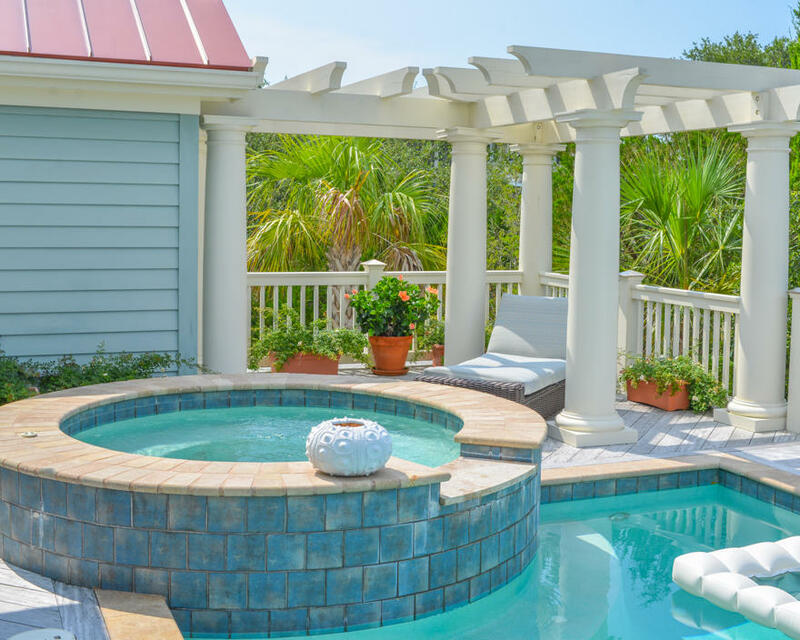 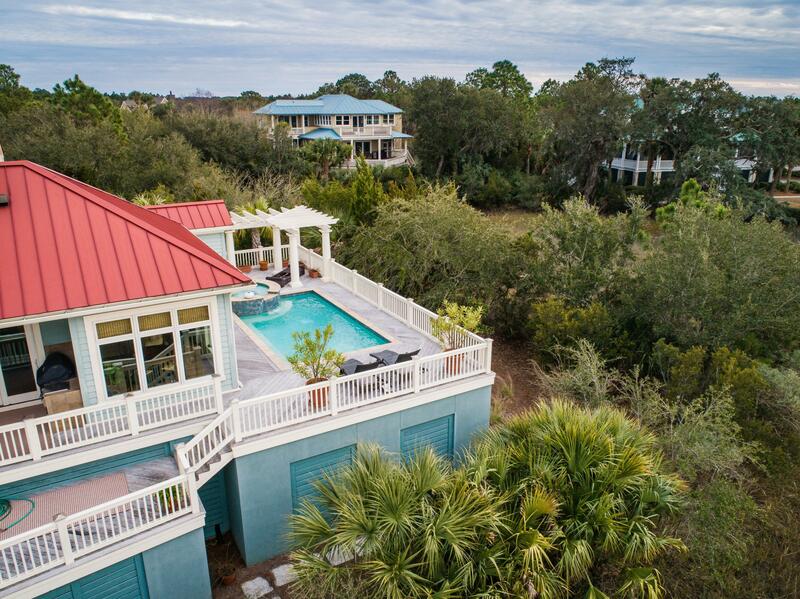 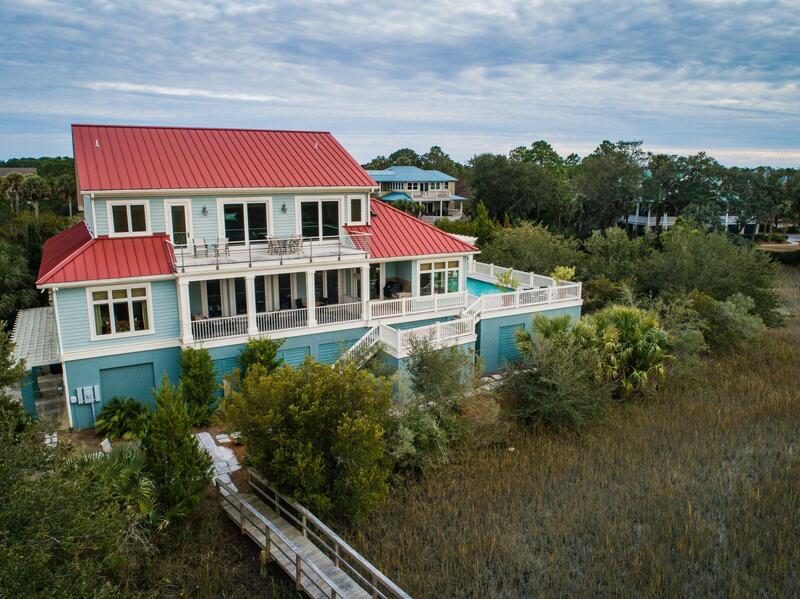 Come and take a look at this unique, serene, and private oasis on Seabrook Island!